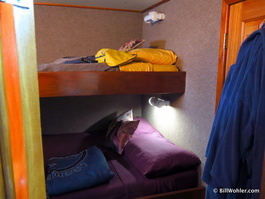 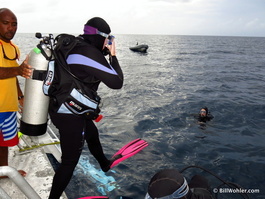 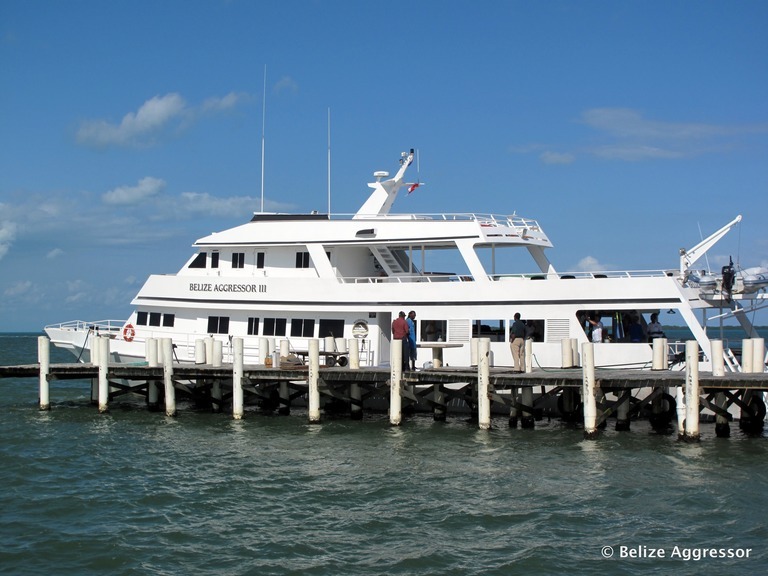 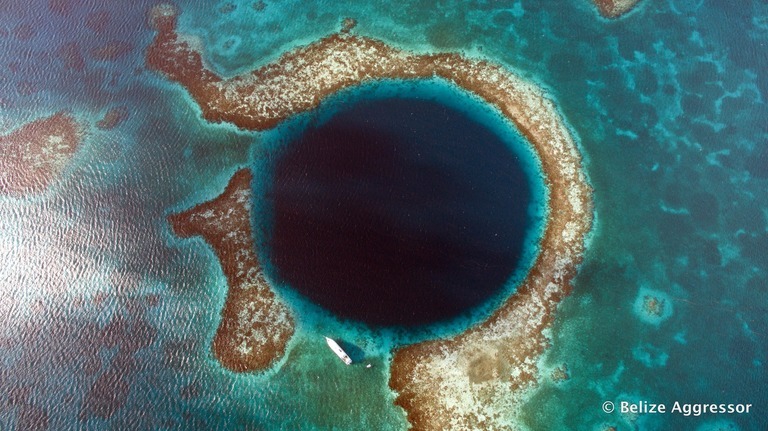 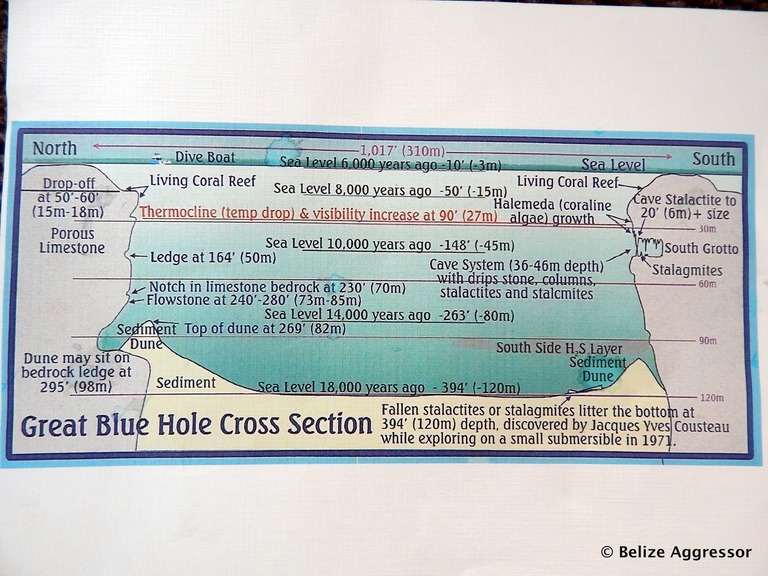 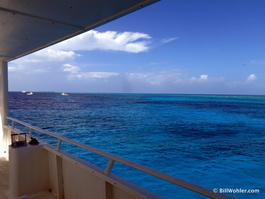 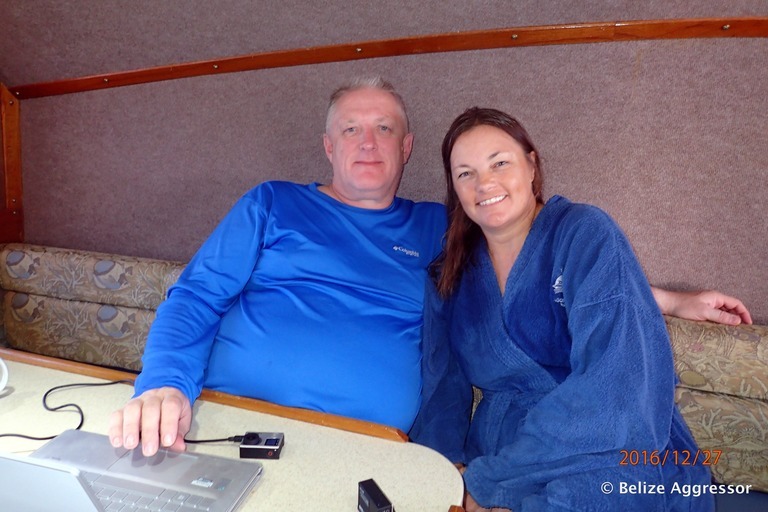 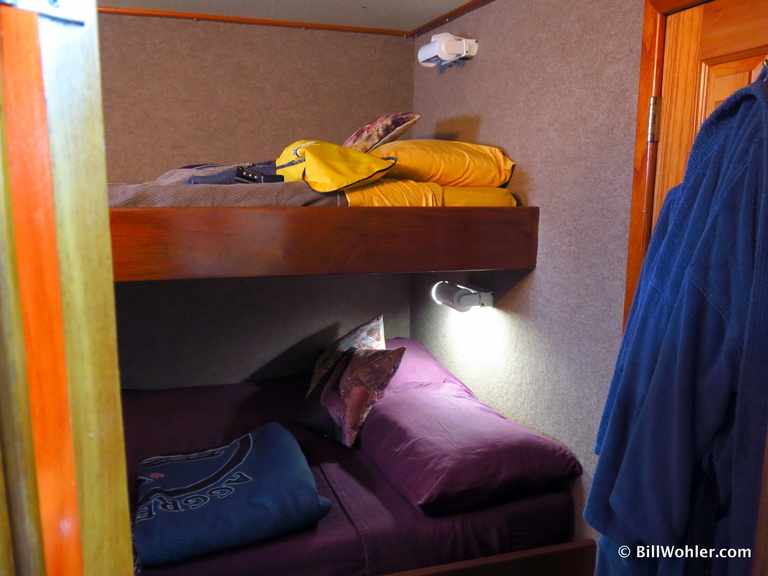 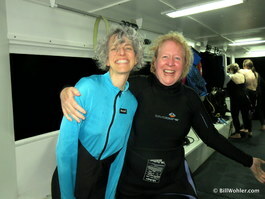 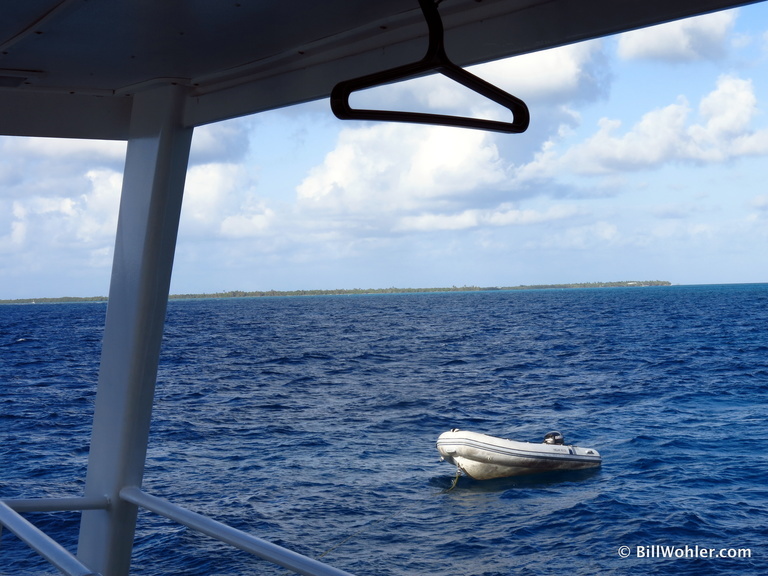 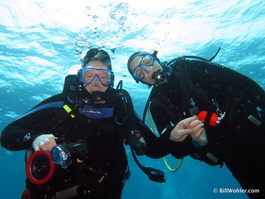 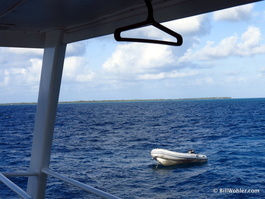 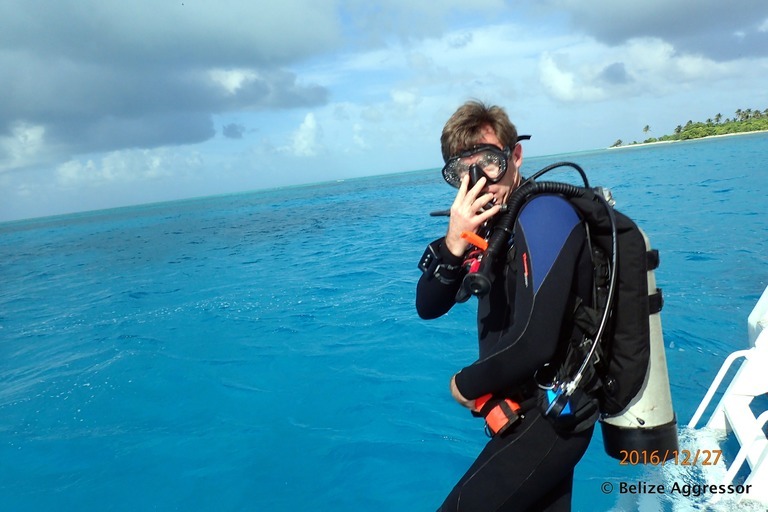 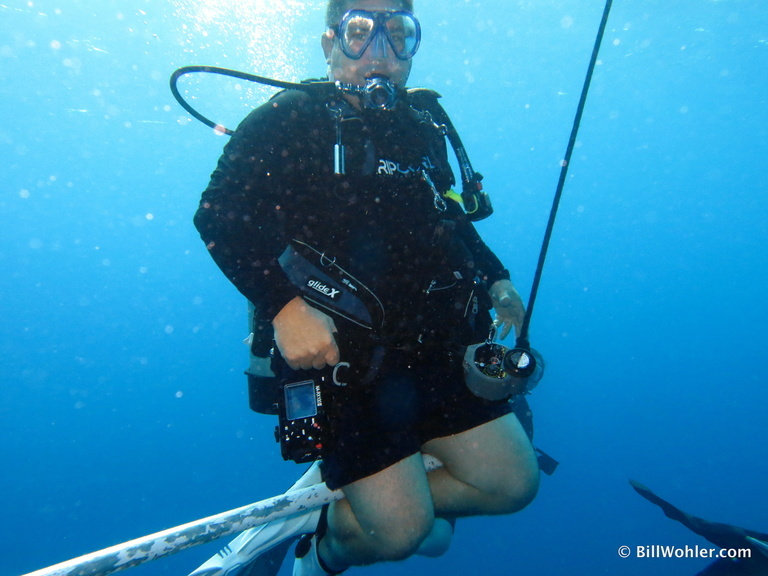 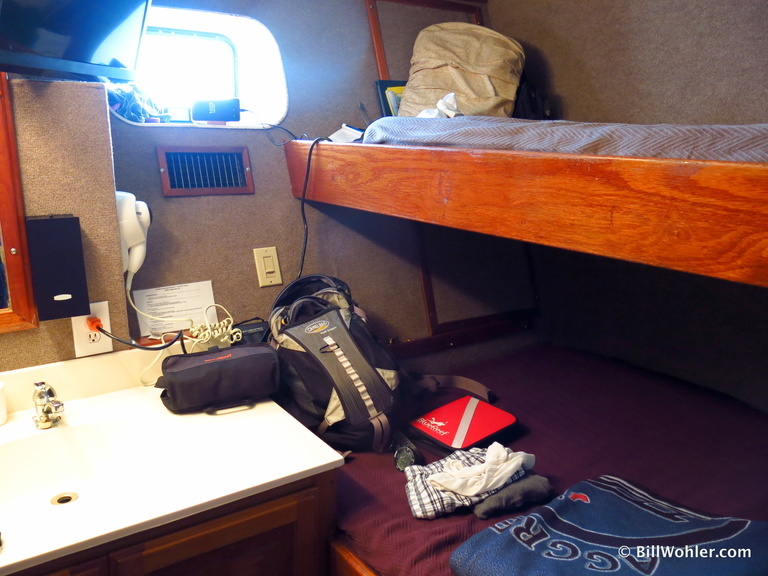 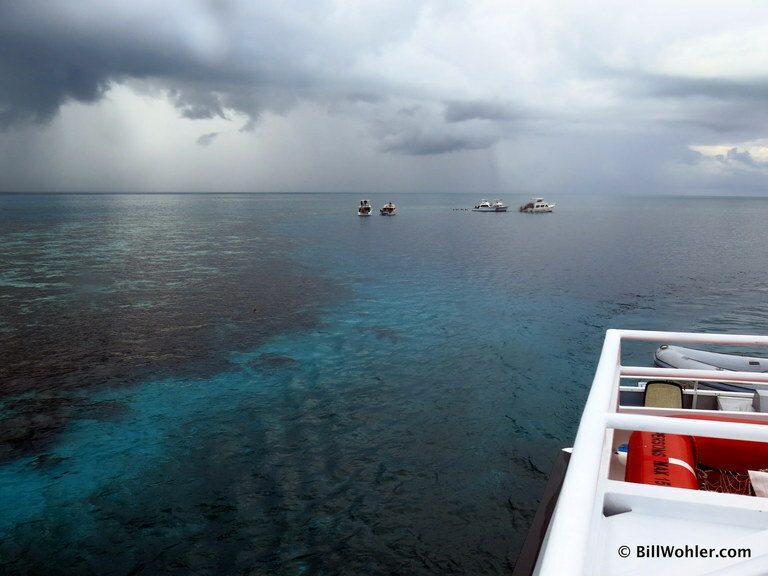 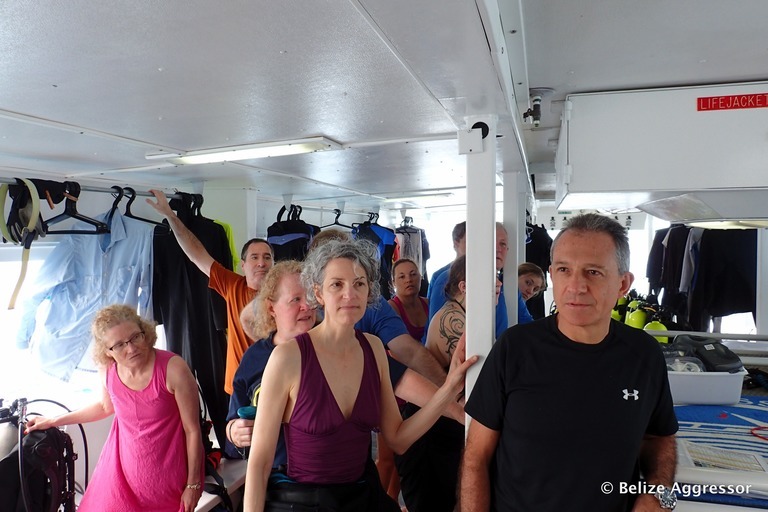 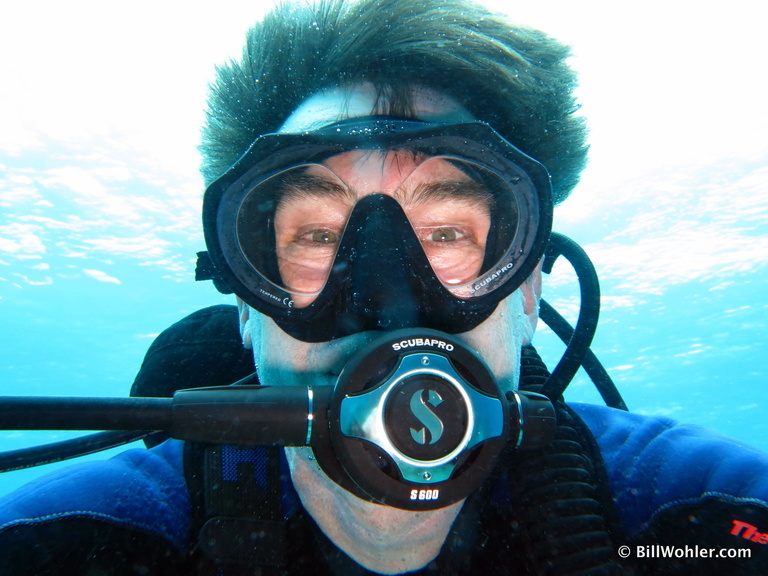 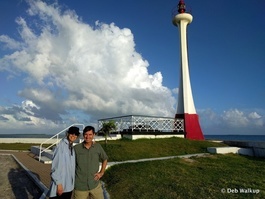 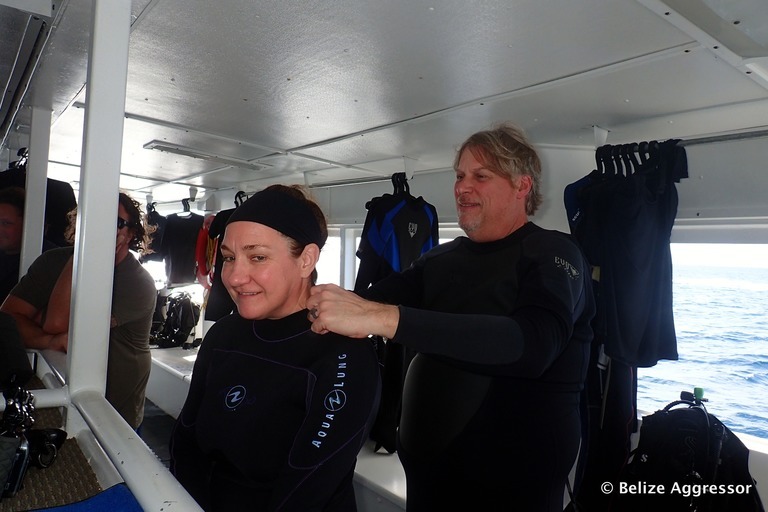 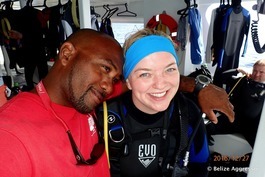 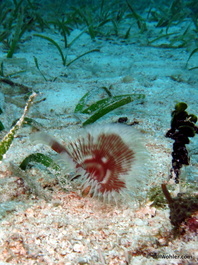 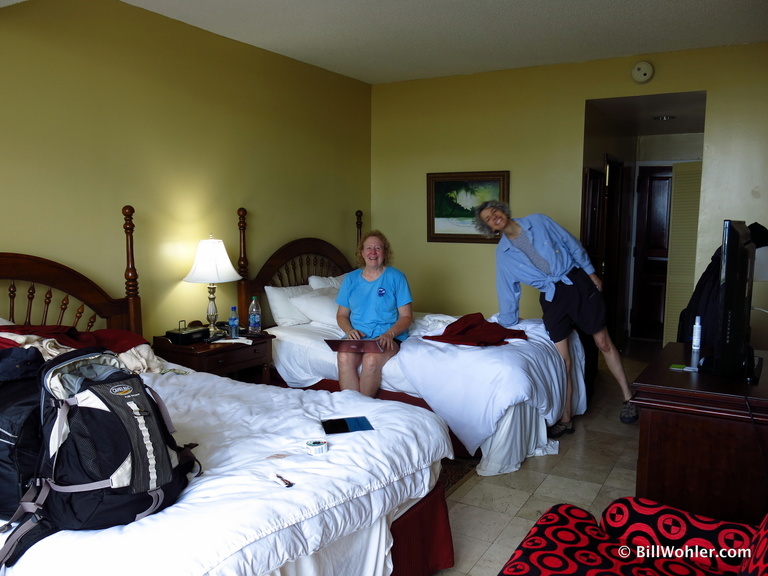 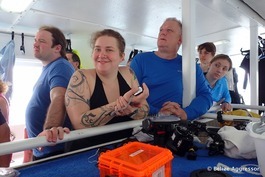 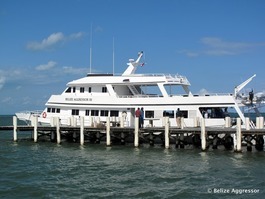 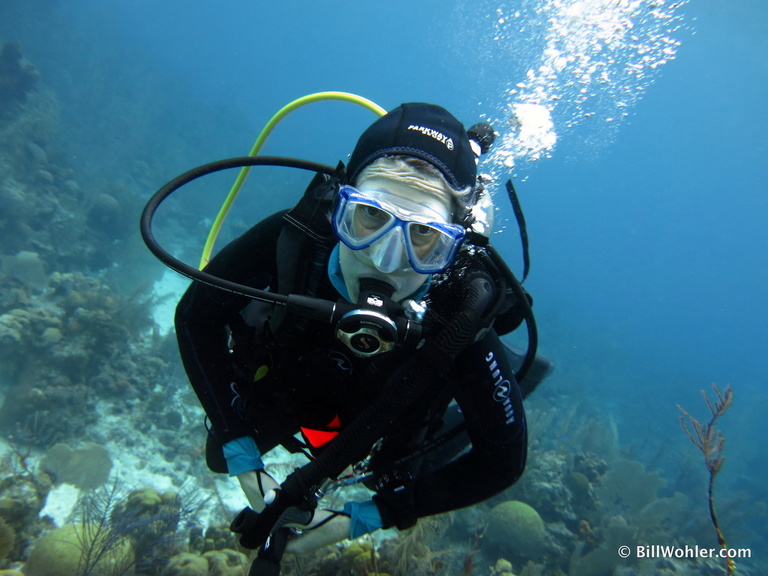 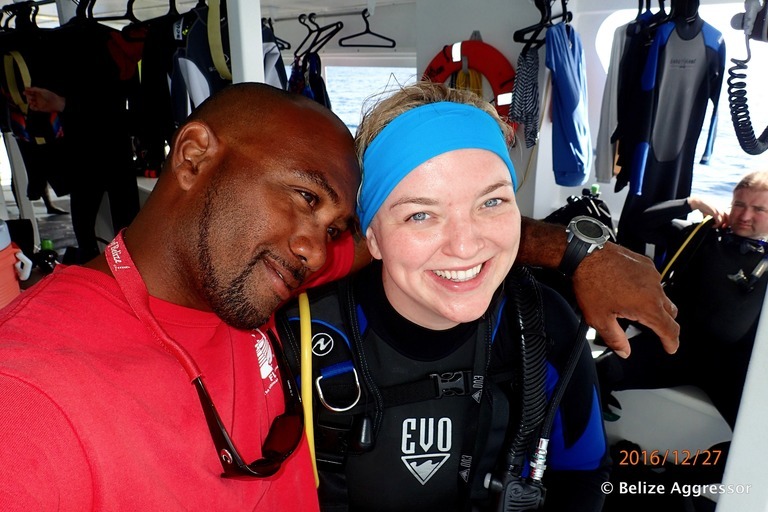 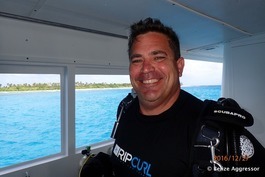 Lori, Deb, and I went diving in Belize on board the Belize Aggressor this Christmas break. 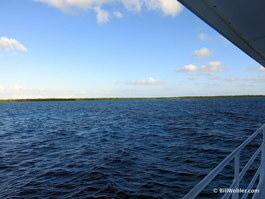 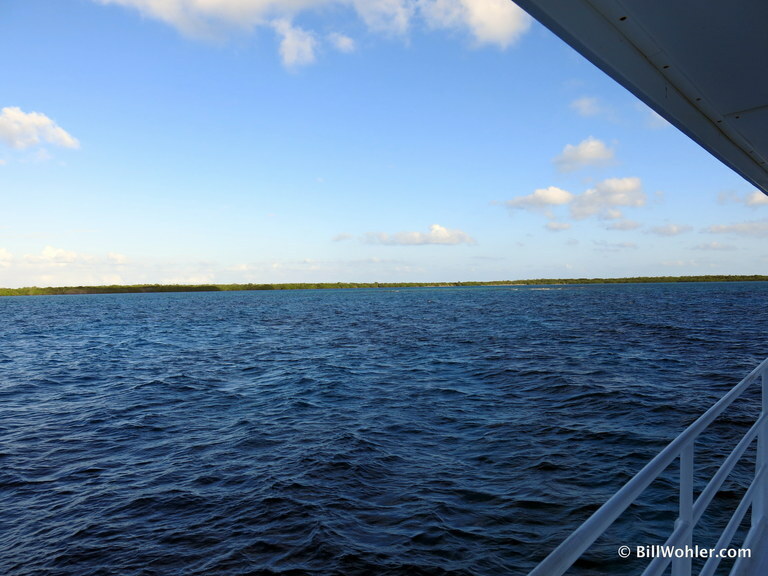 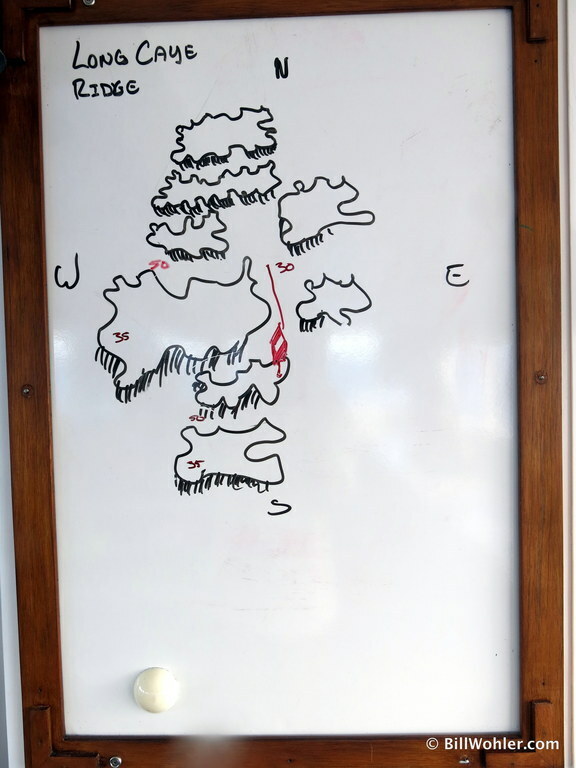 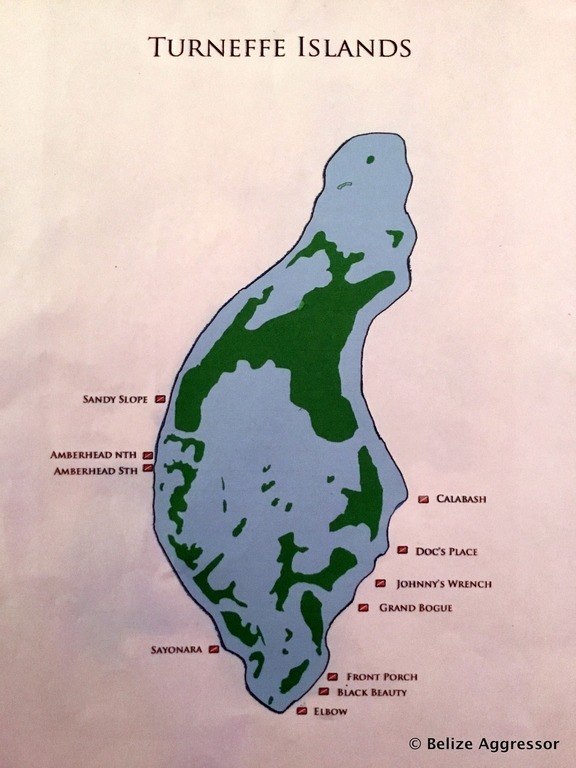 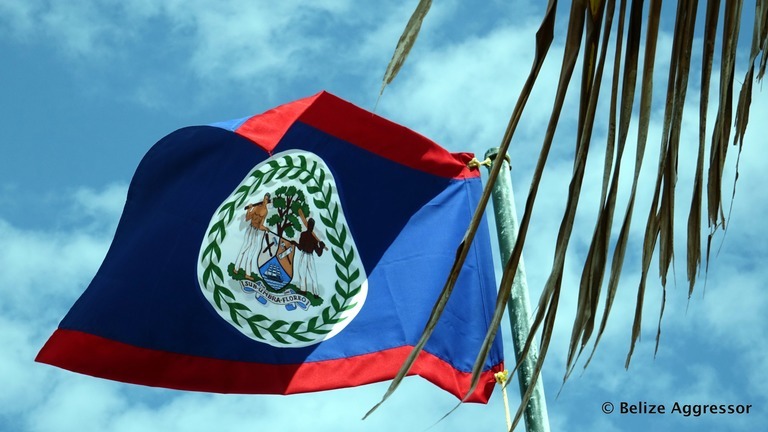 Although Belize lies on the Mosquito Coast, we did not see a single mosquito this week. I'm not sure why. 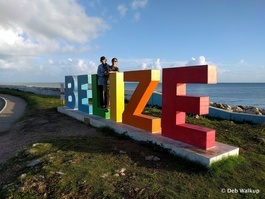 I would have expected some at the airport or in town. 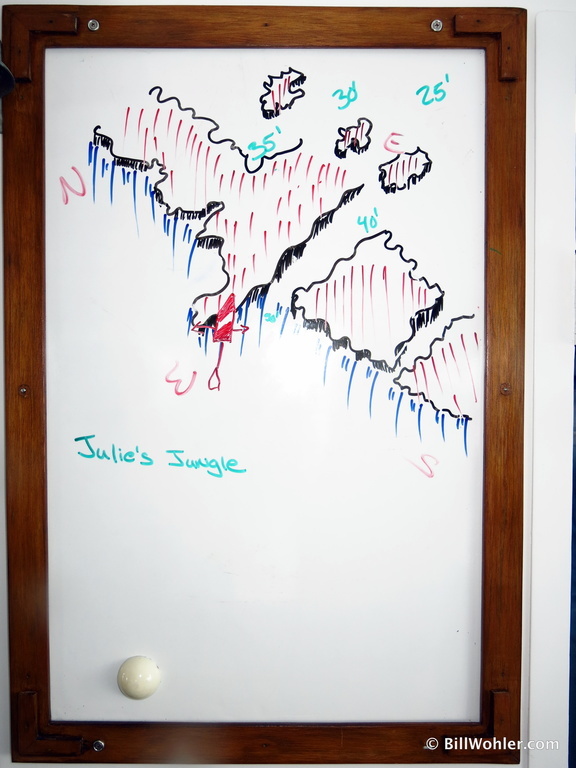 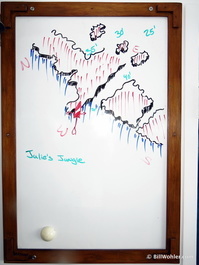 We certainly saw a bunch in the jungle at this time back in 2003. Hurricane Earl destroyed the dock at the Radisson Port George Hotel . So, we had to embark in the nearby public marina. 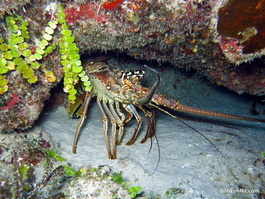 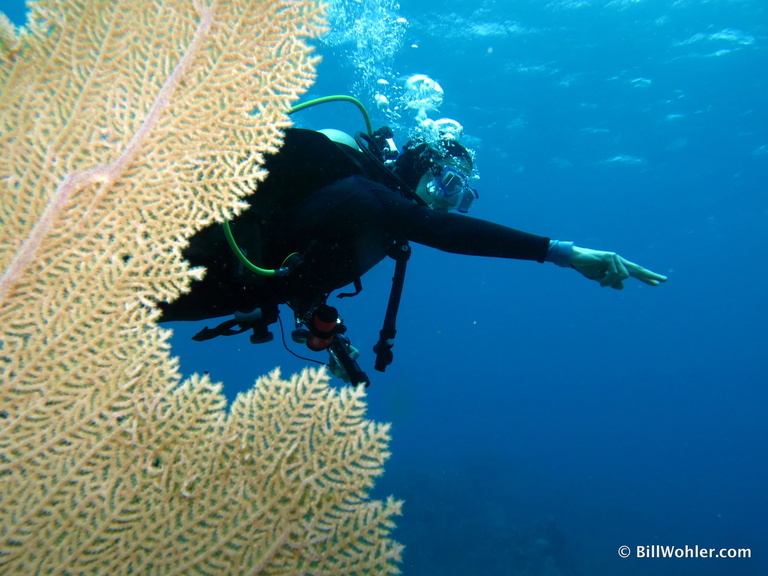 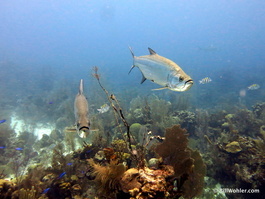 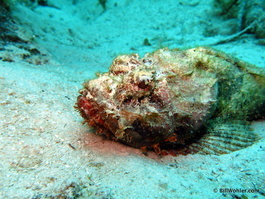 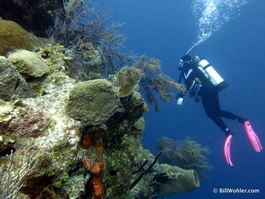 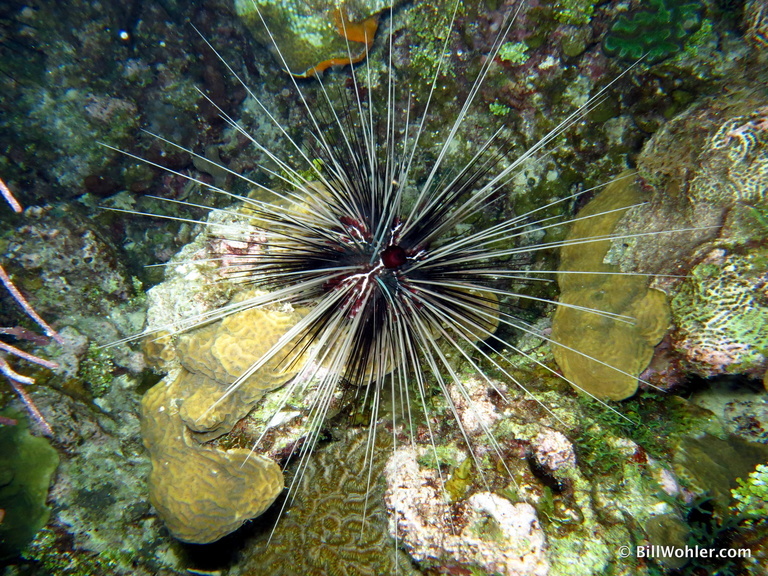 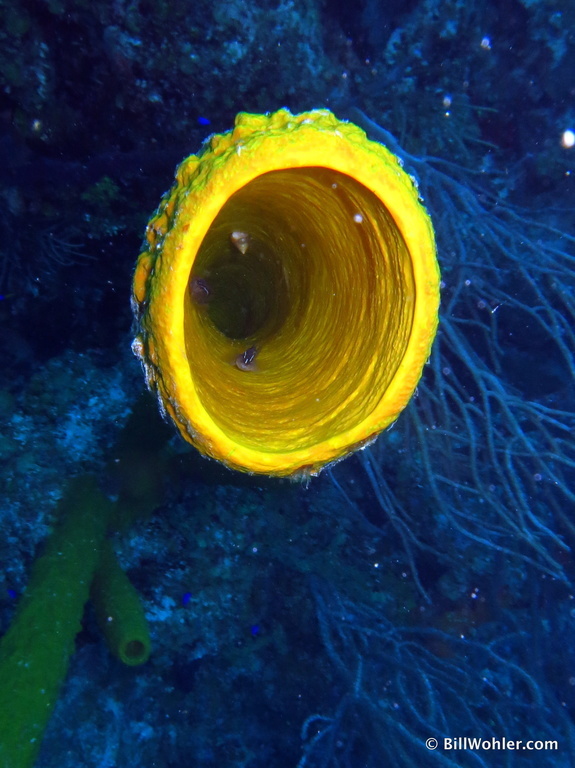 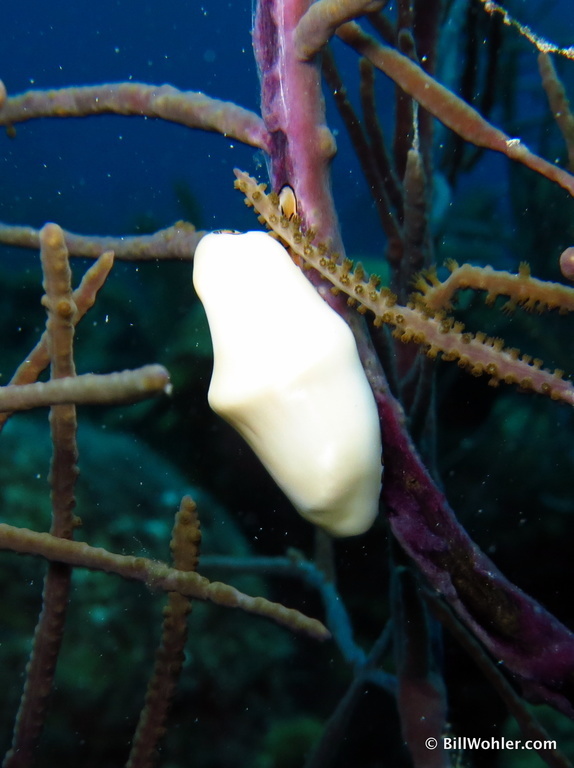 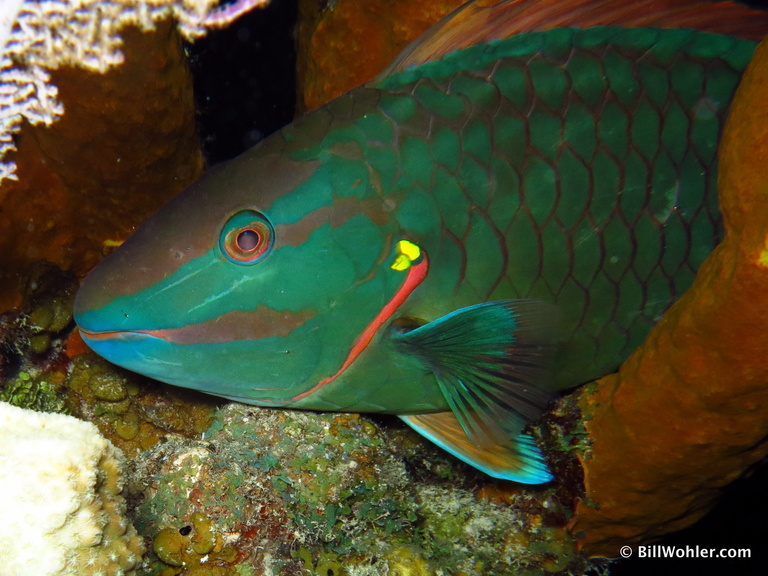 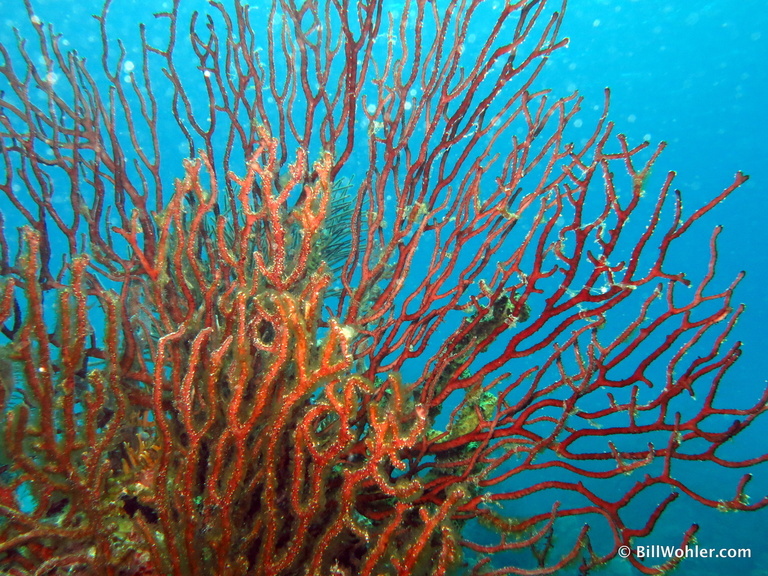 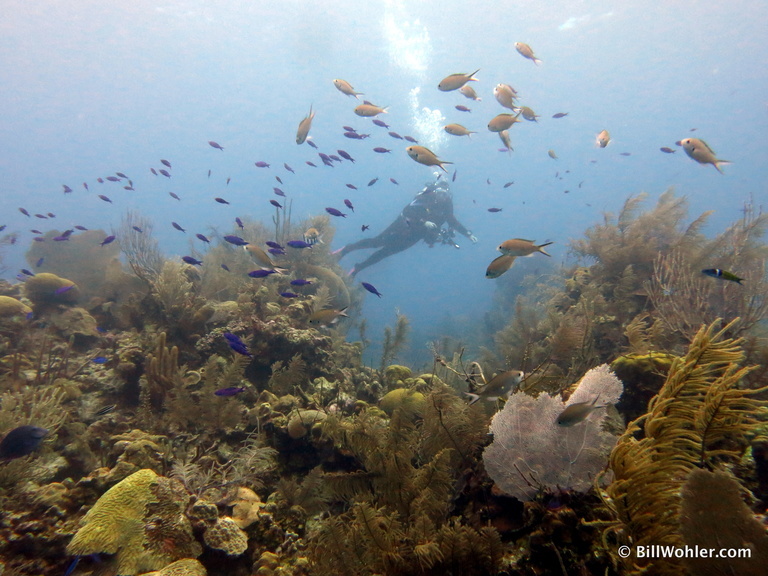 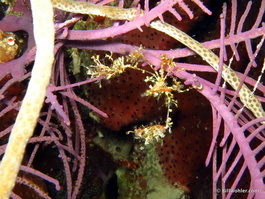 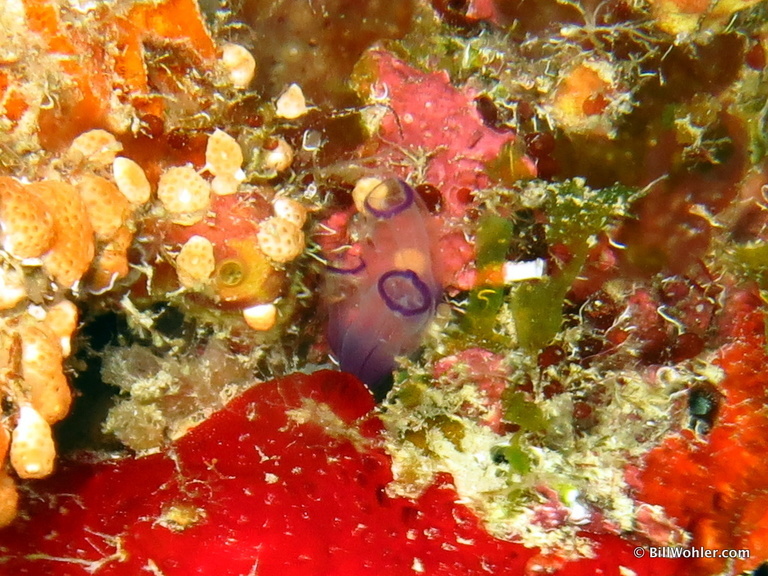 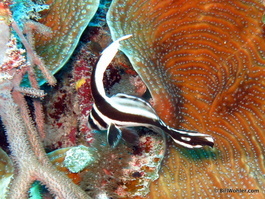 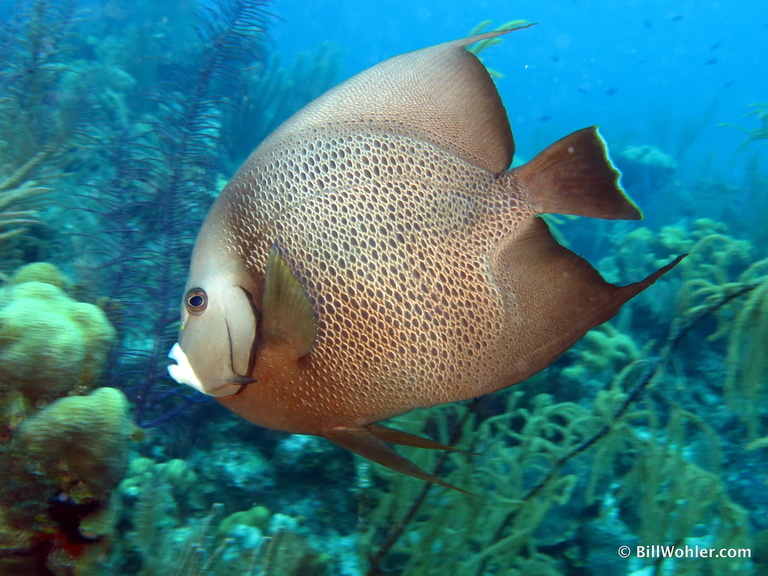 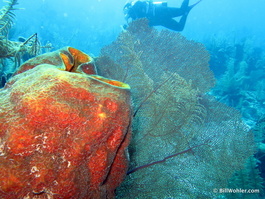 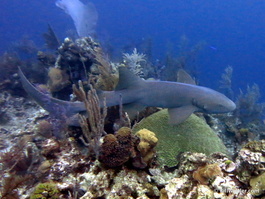 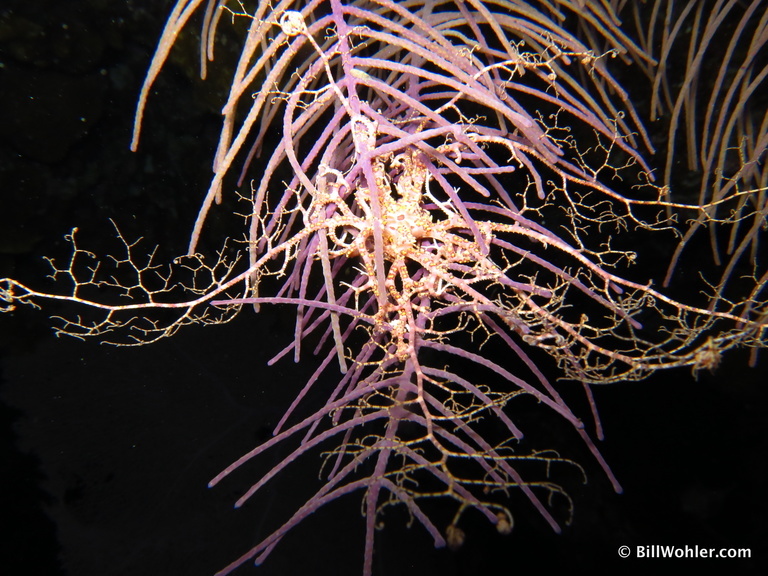 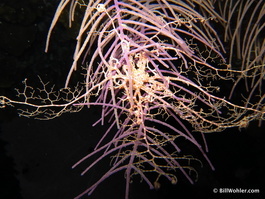 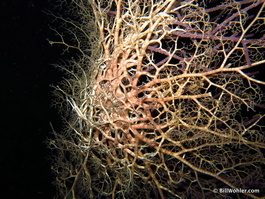 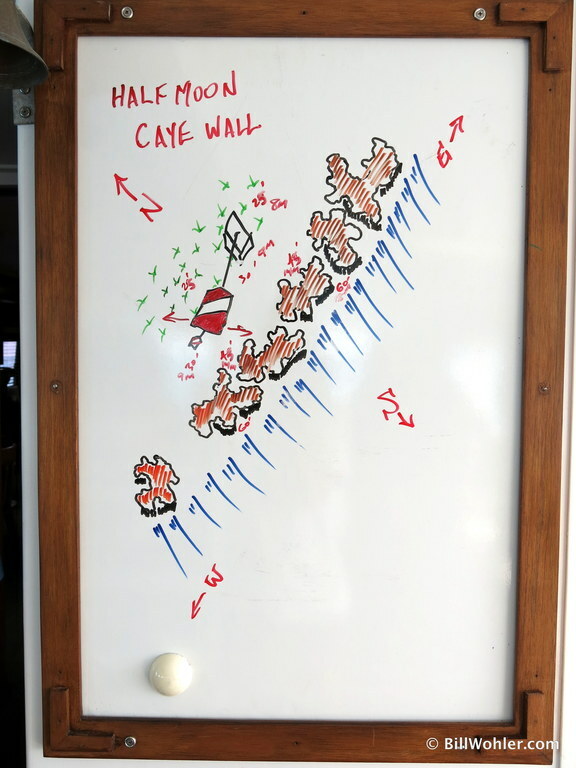 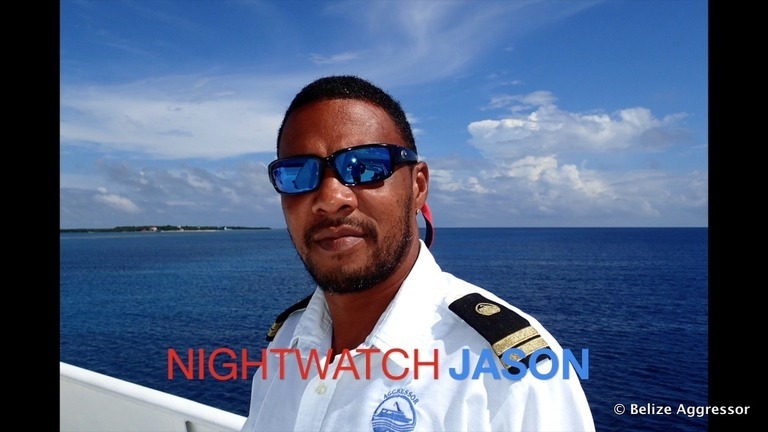 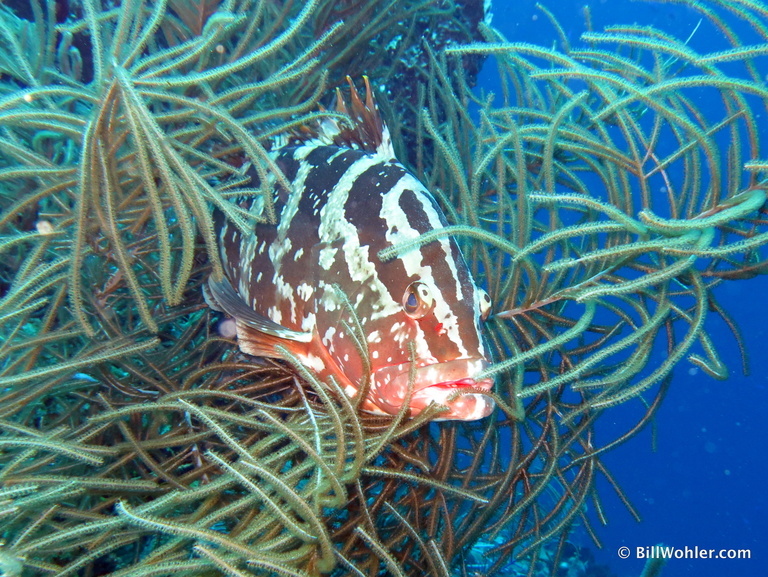 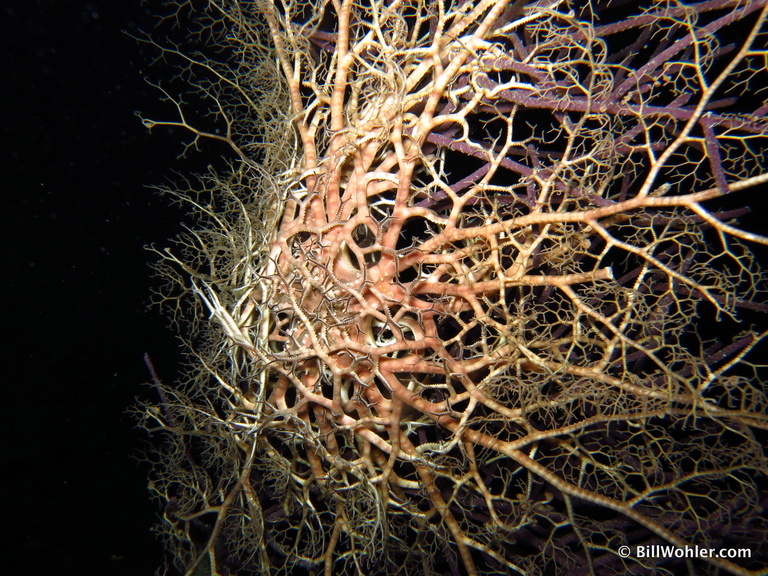 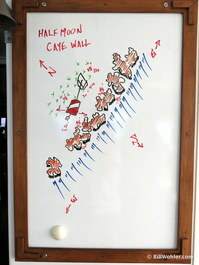 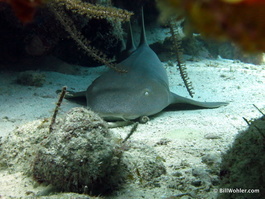 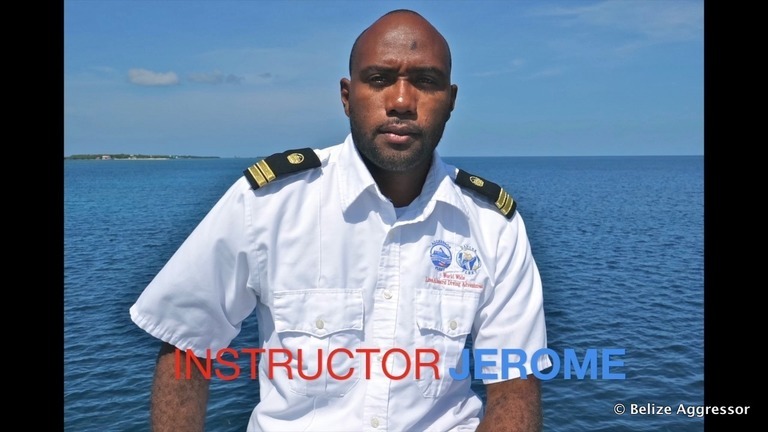 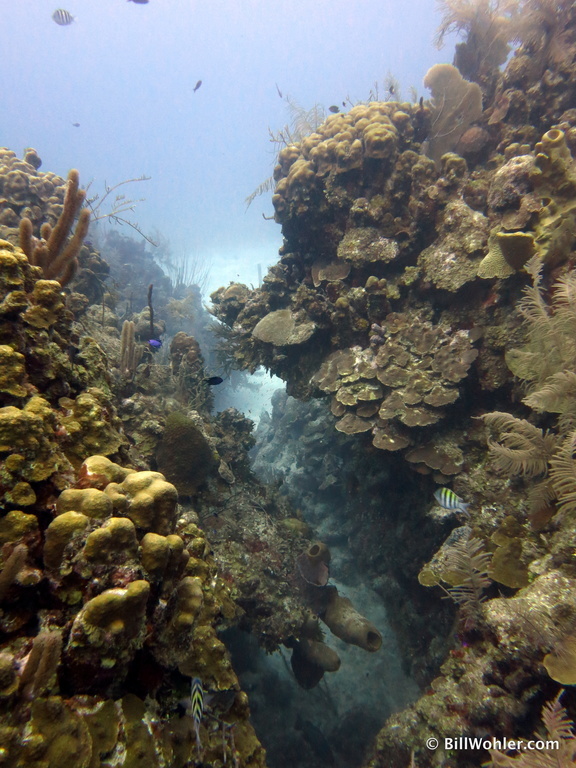 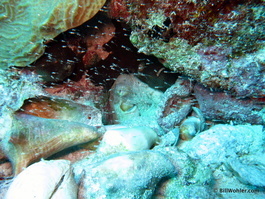 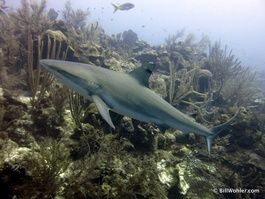 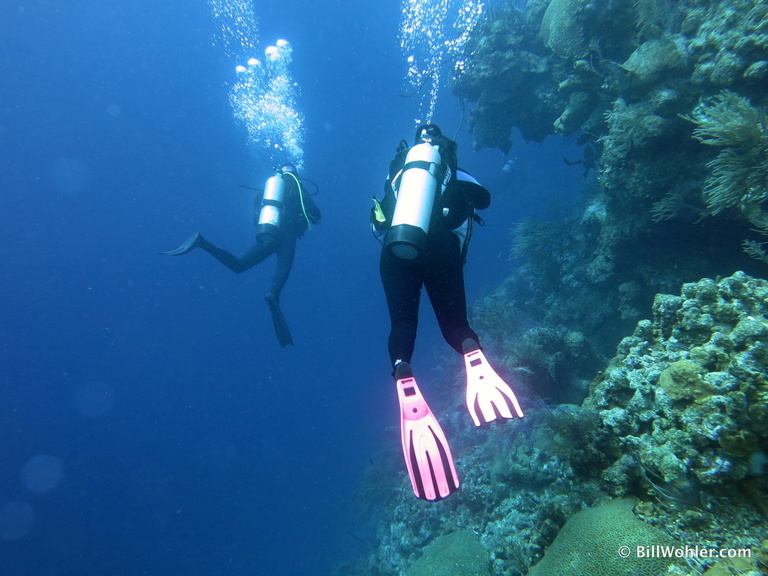 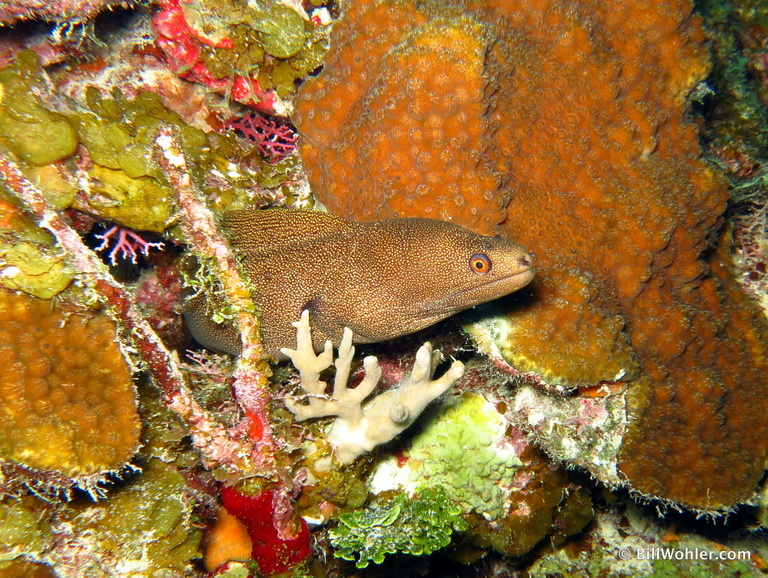 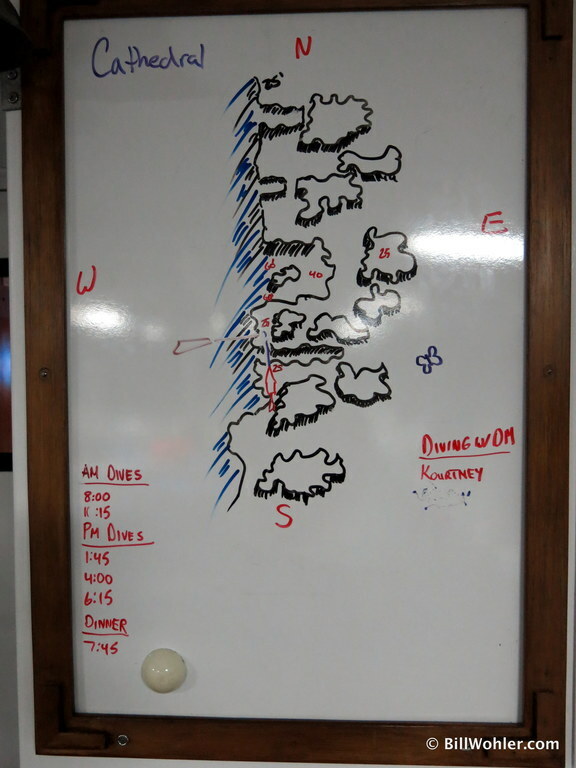 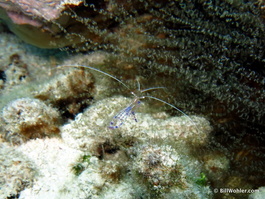 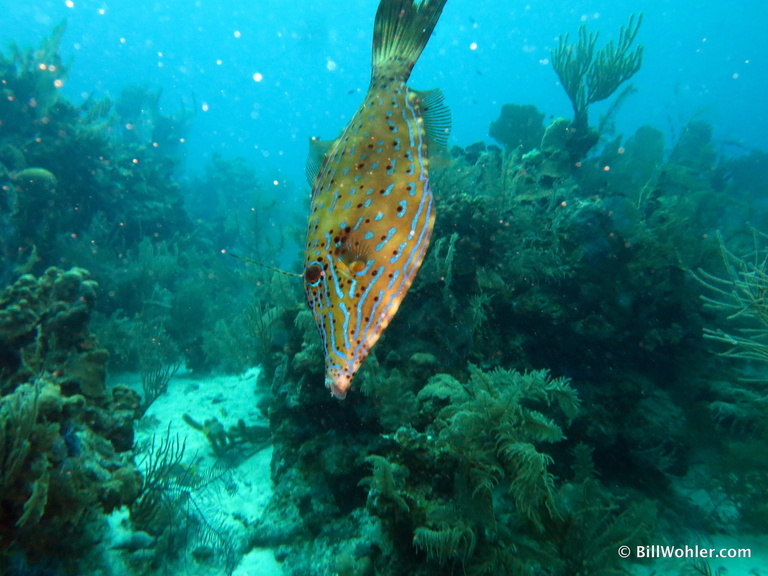 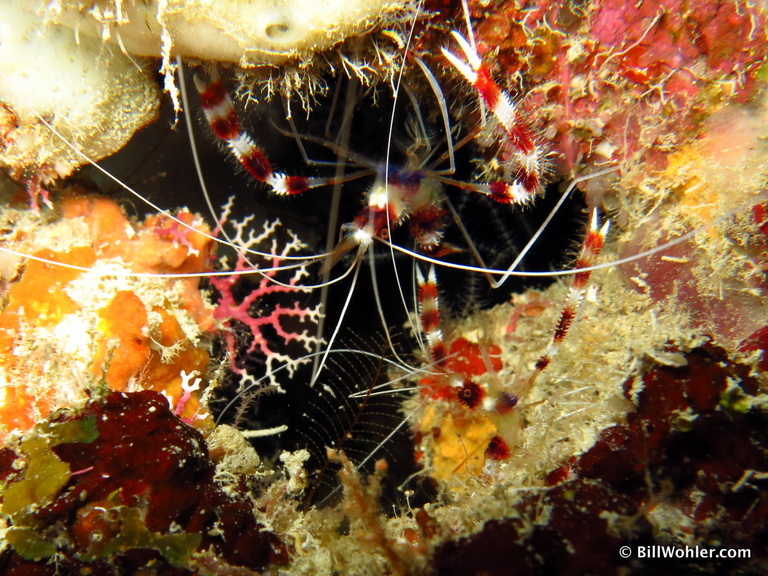 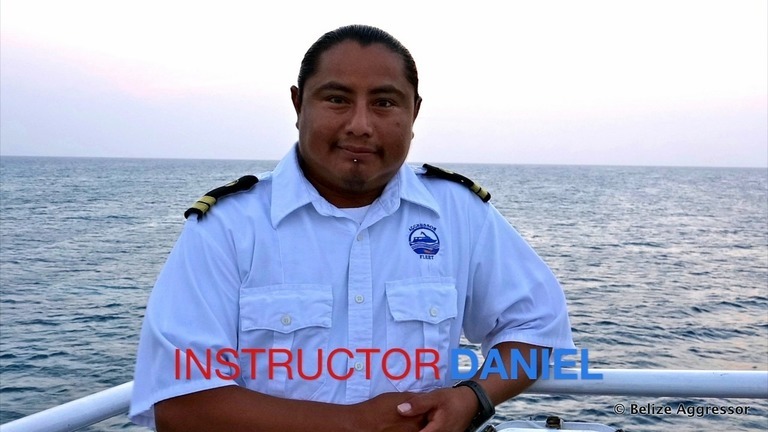 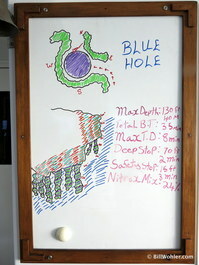 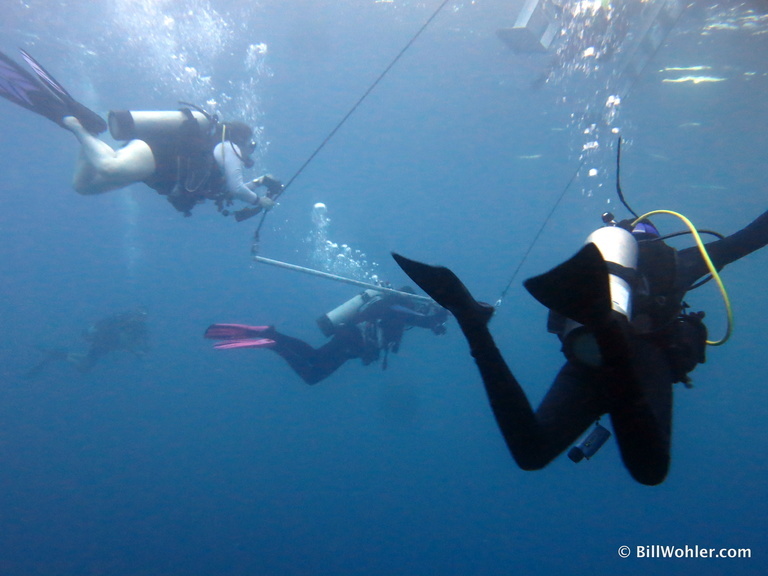 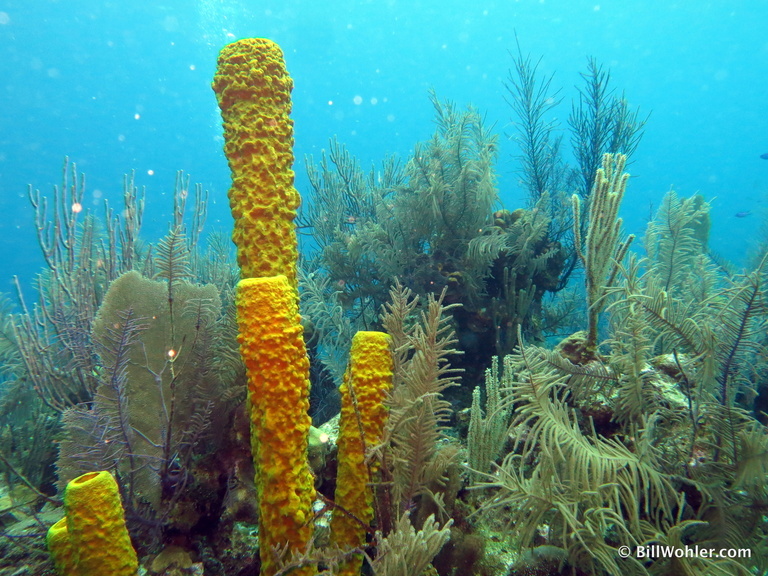 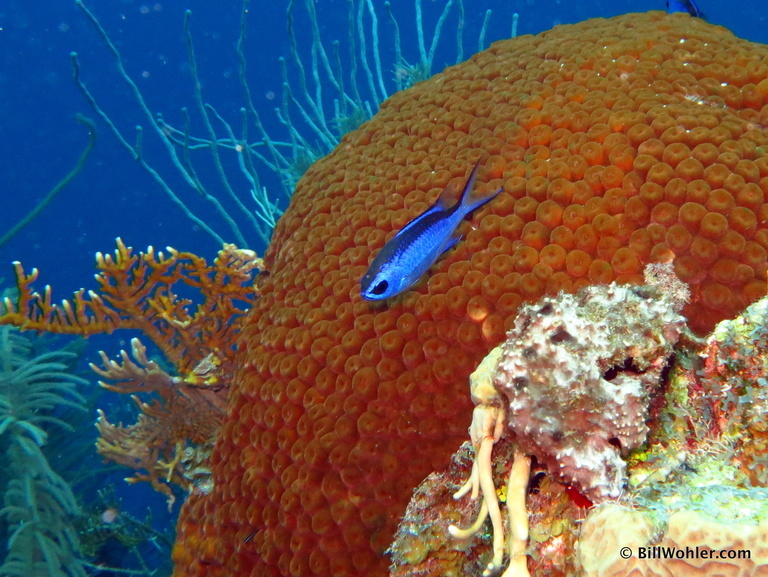 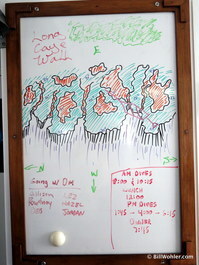 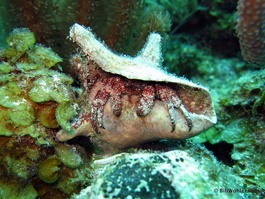 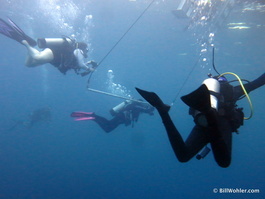 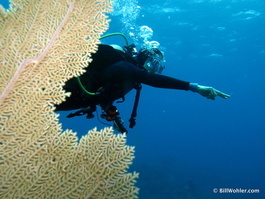 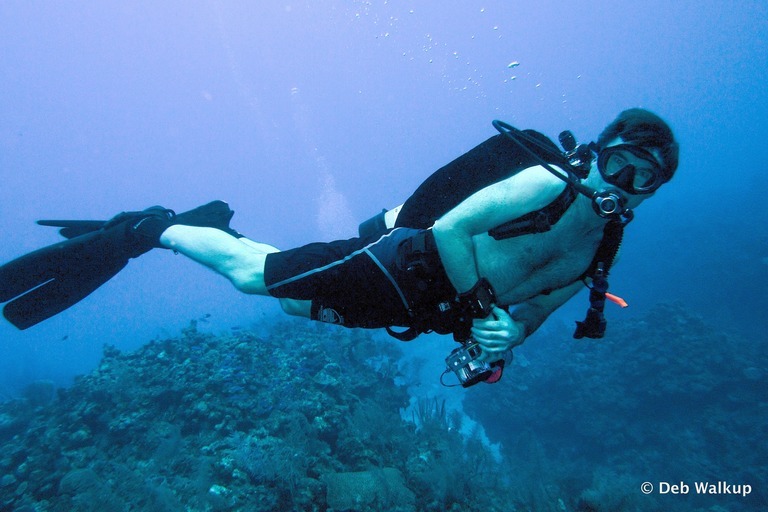 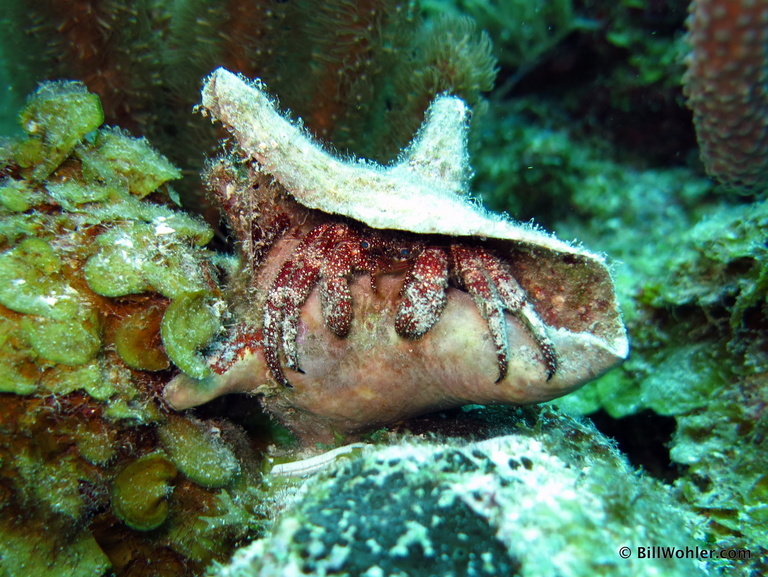 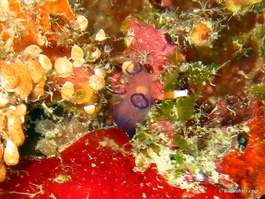 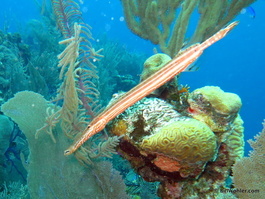 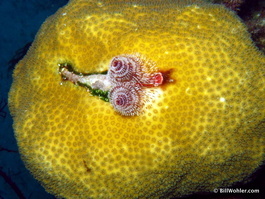 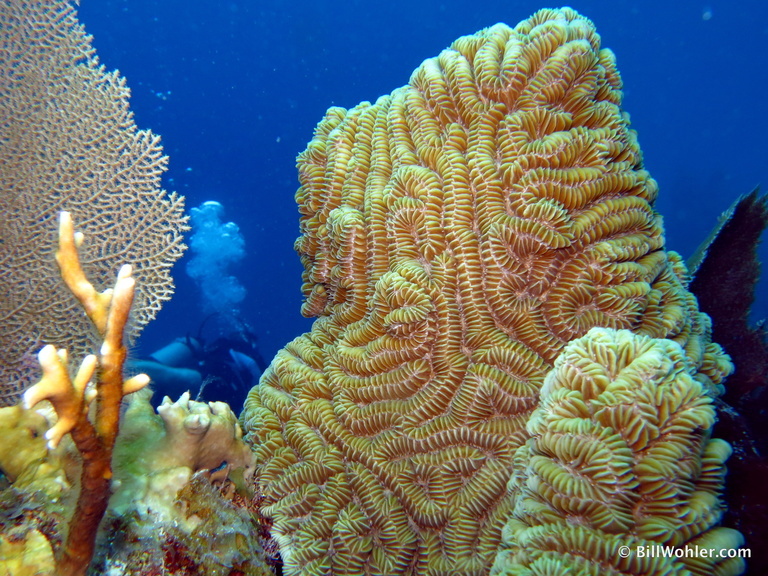 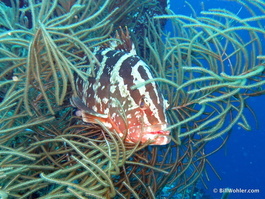 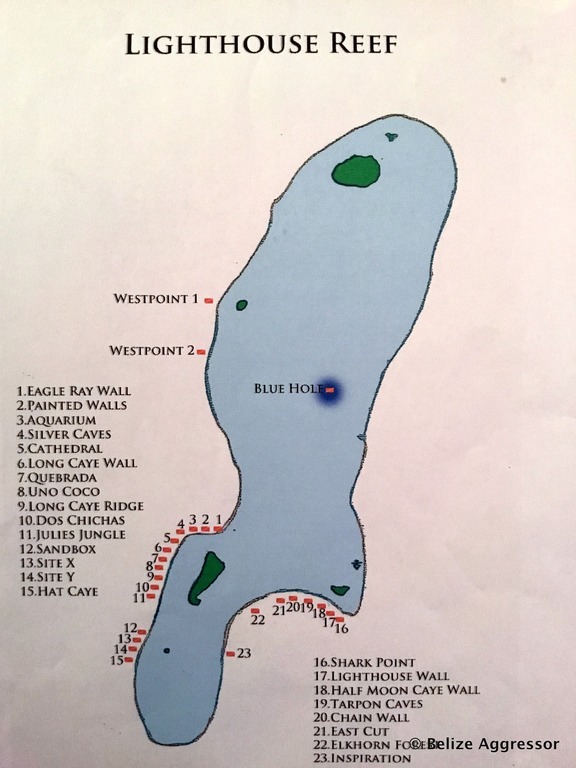 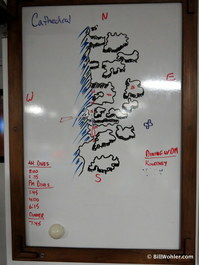 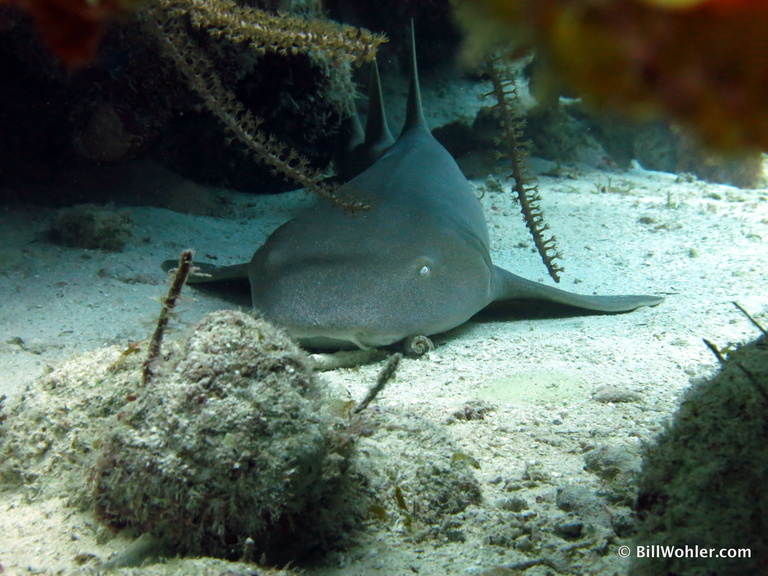 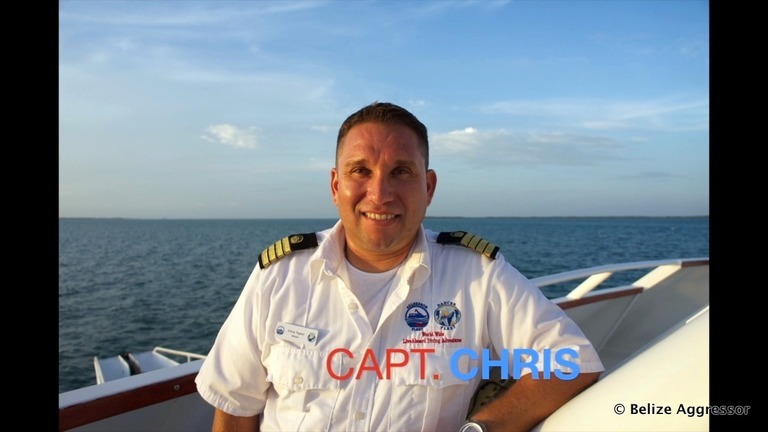 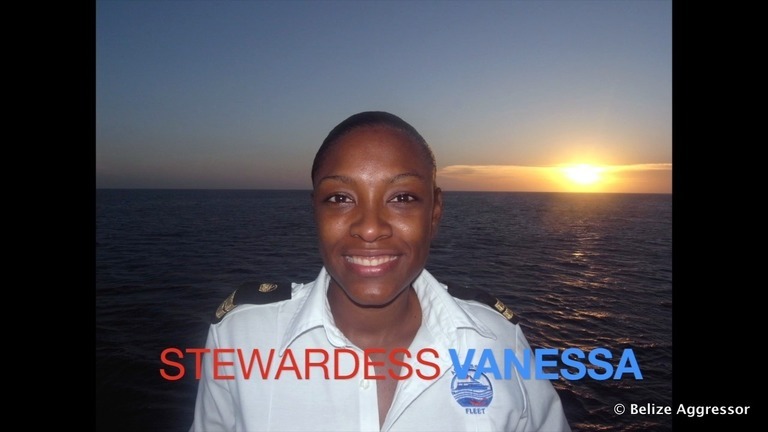 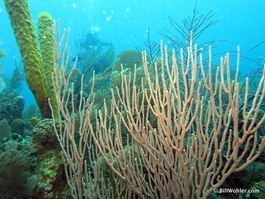 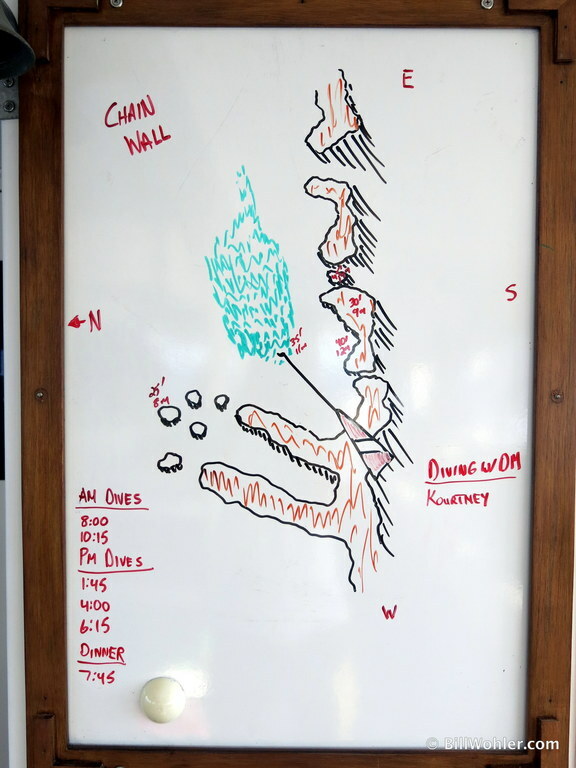 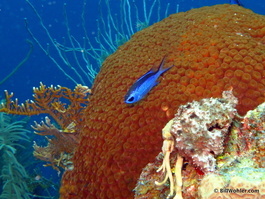 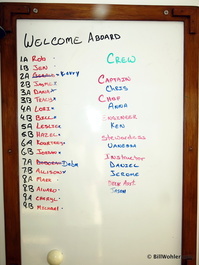 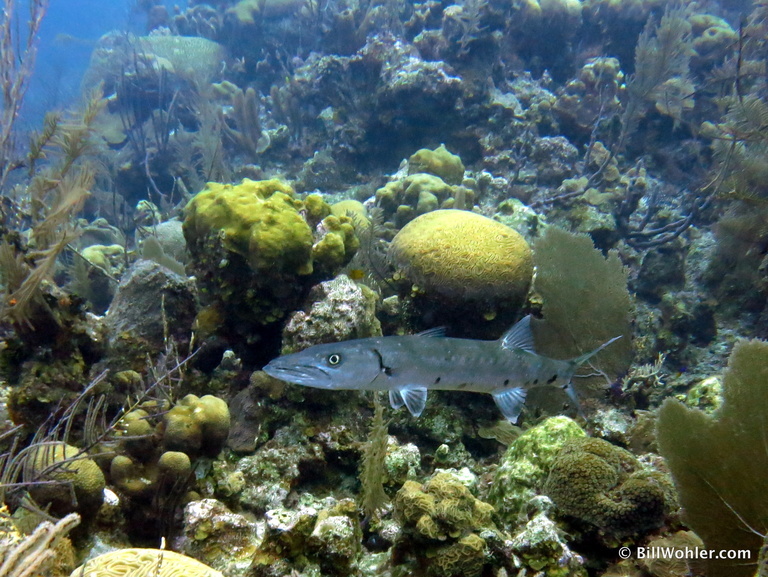 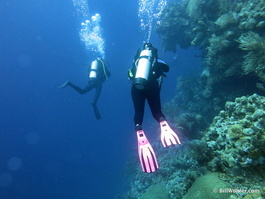 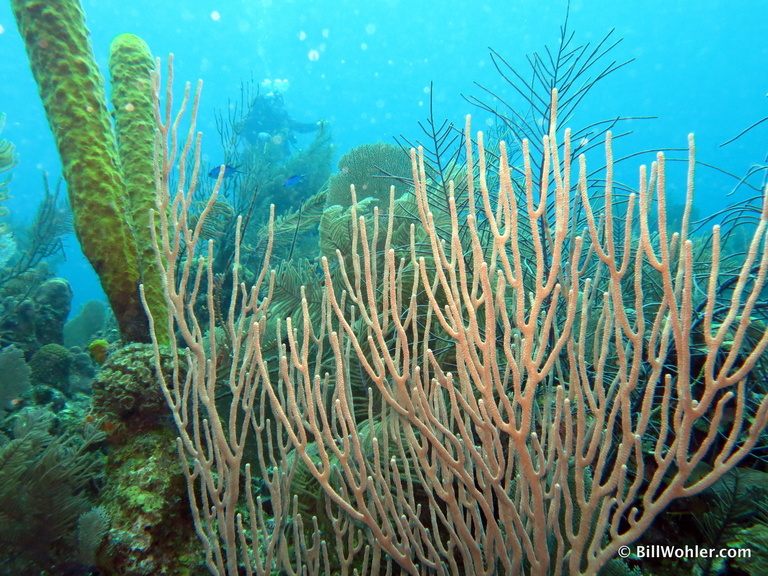 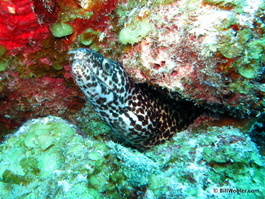 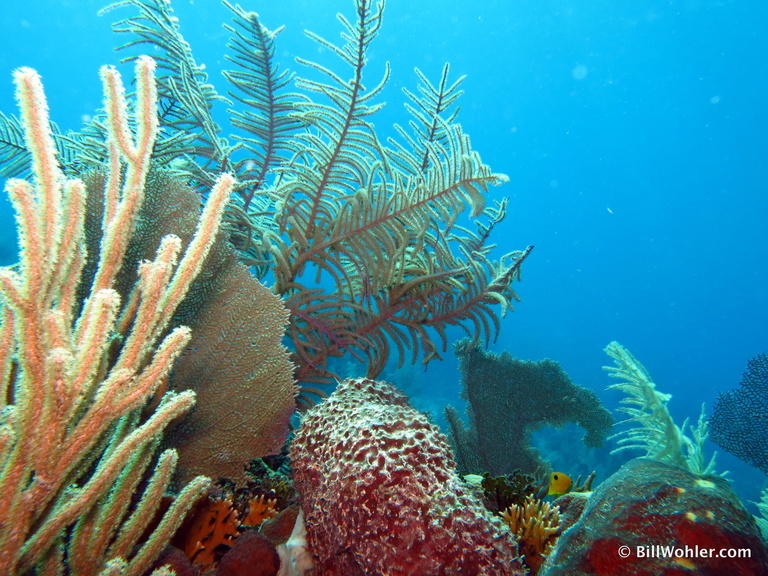 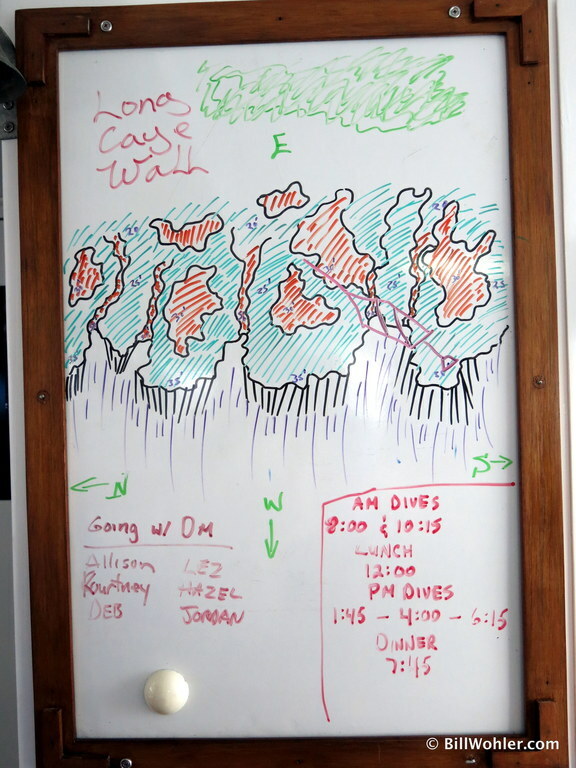 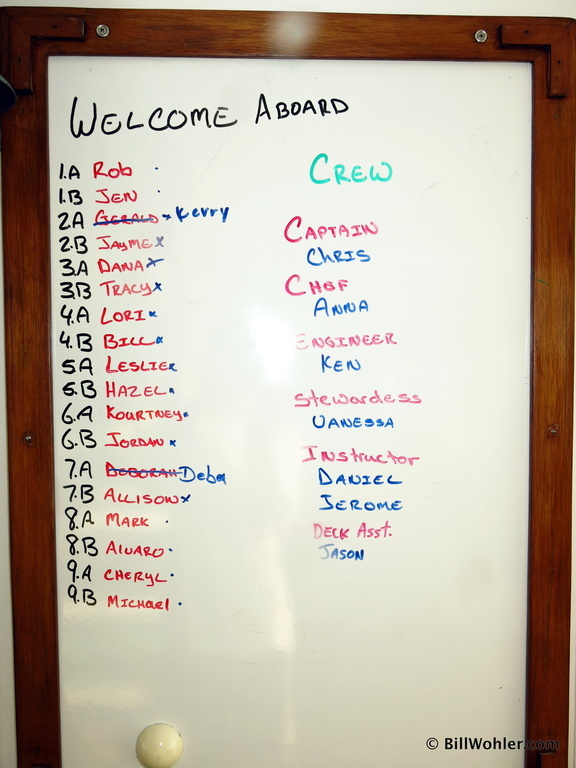 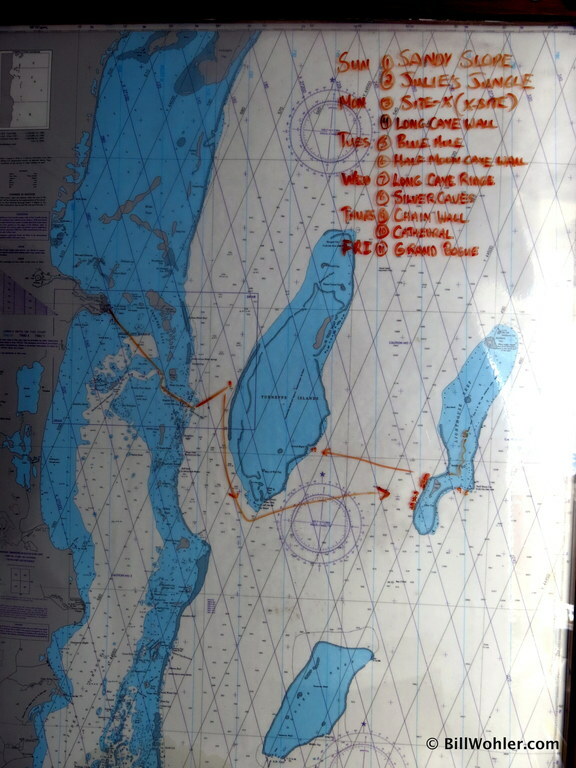 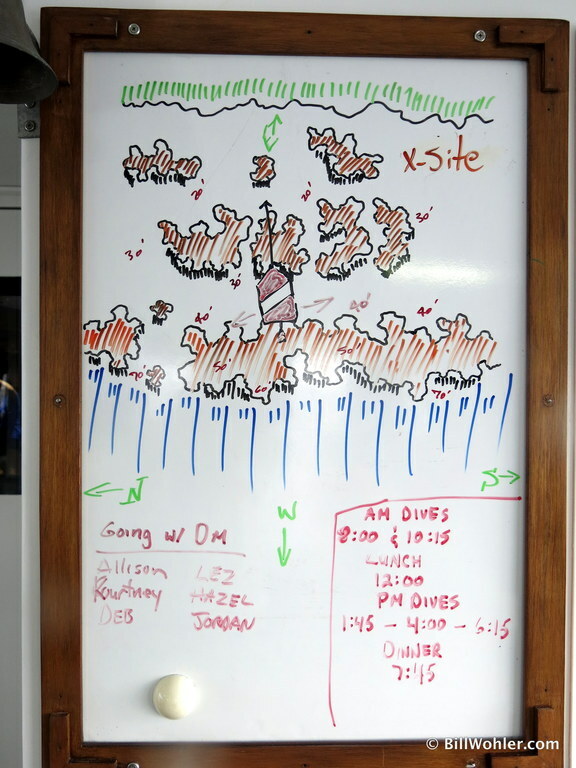 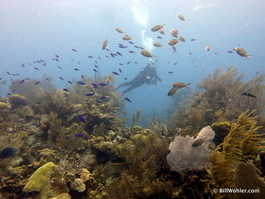 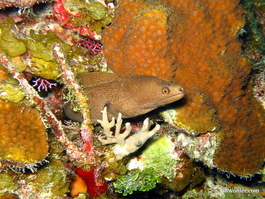 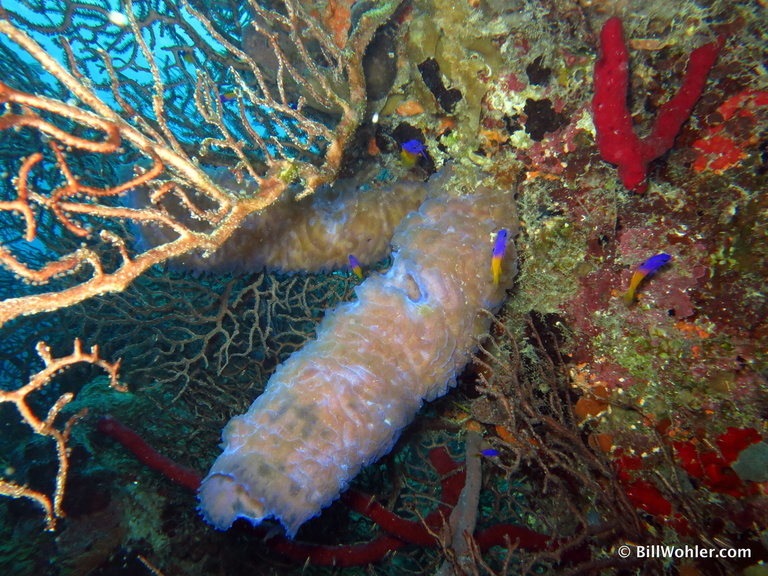 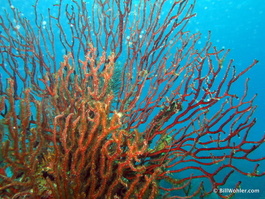 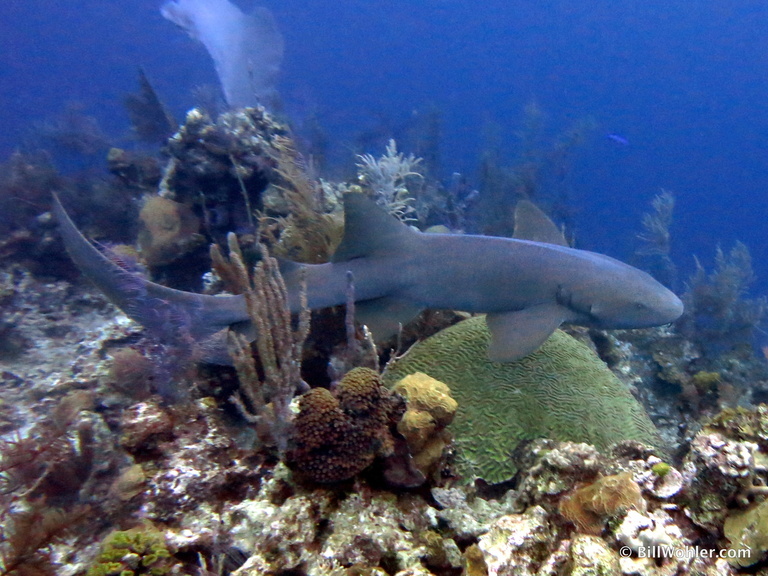 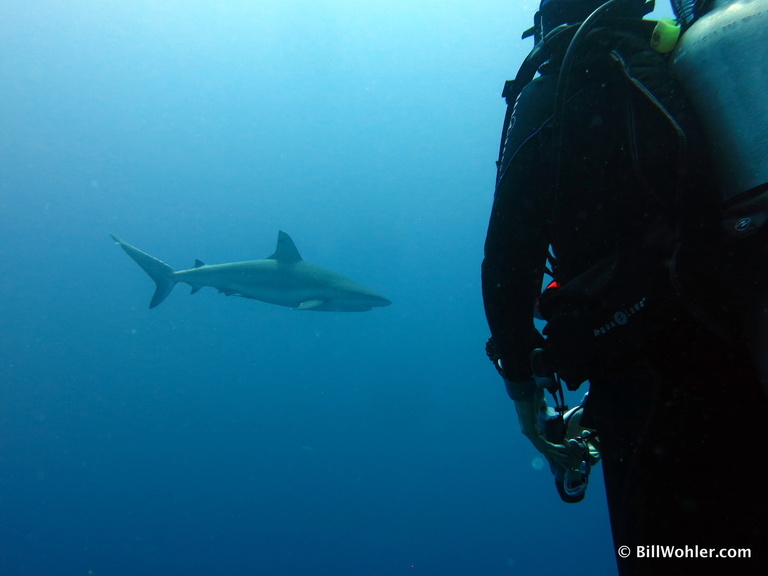 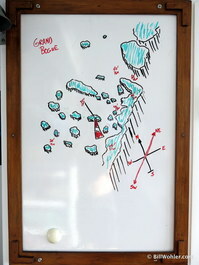 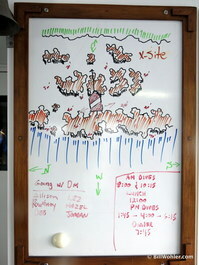 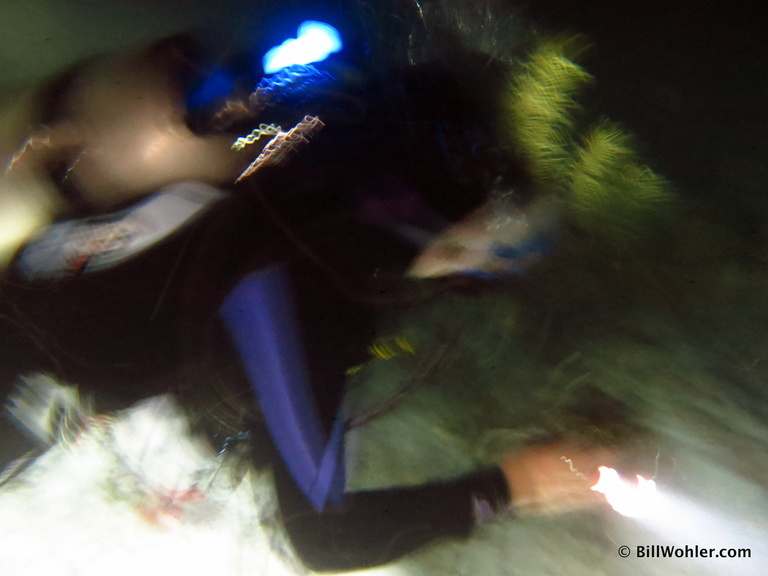 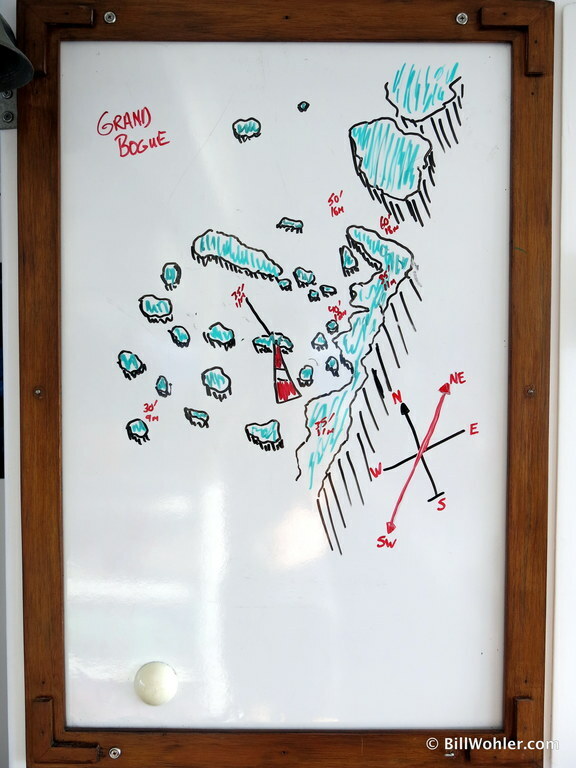 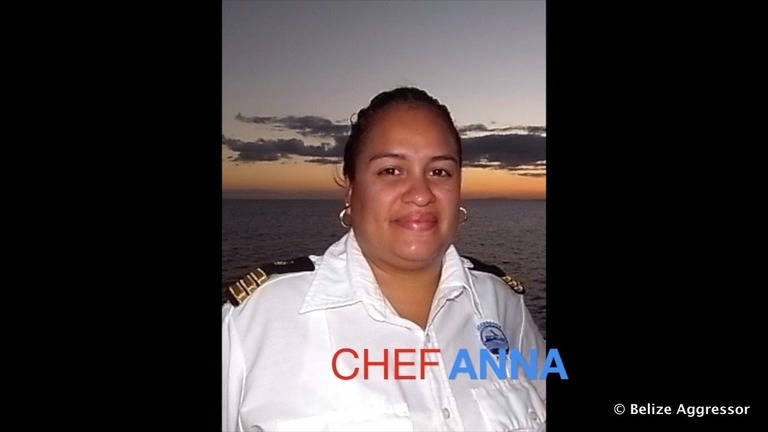 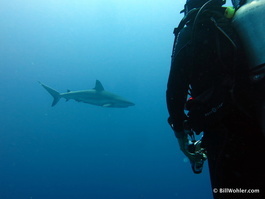 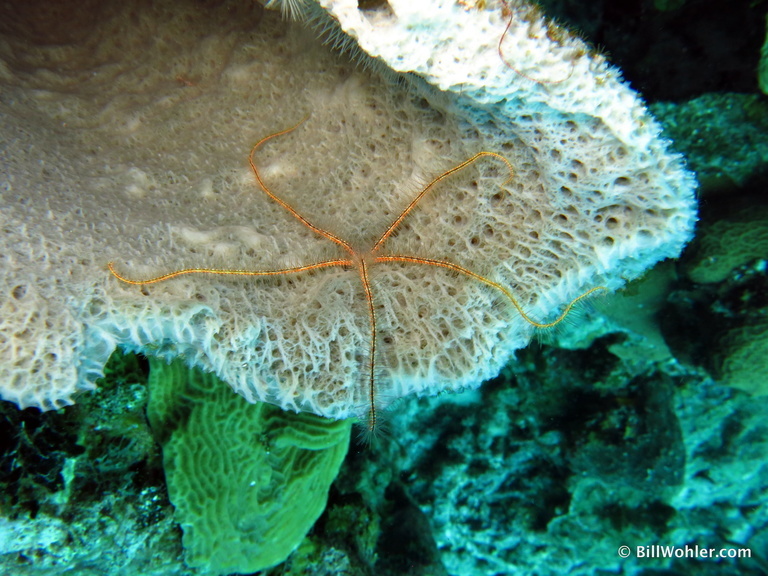 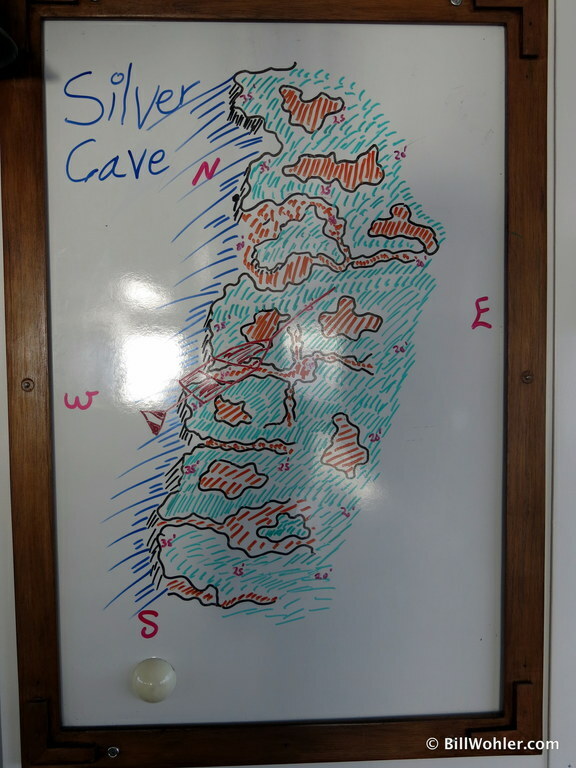 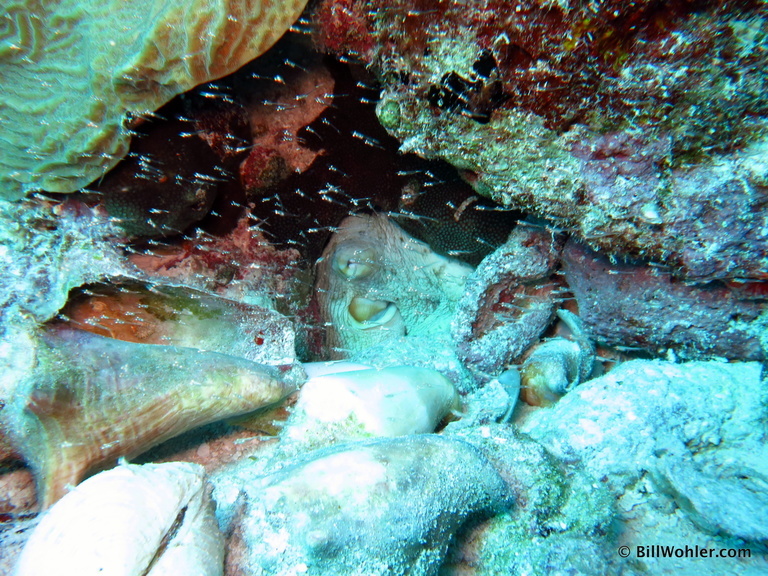 Once onboard, we had a nice week of great Caribbean diving. 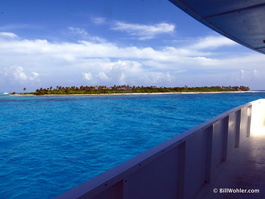 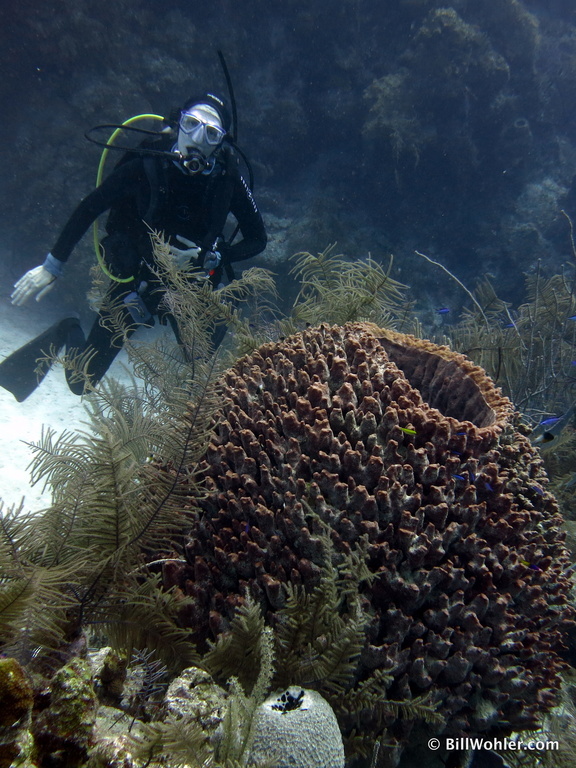 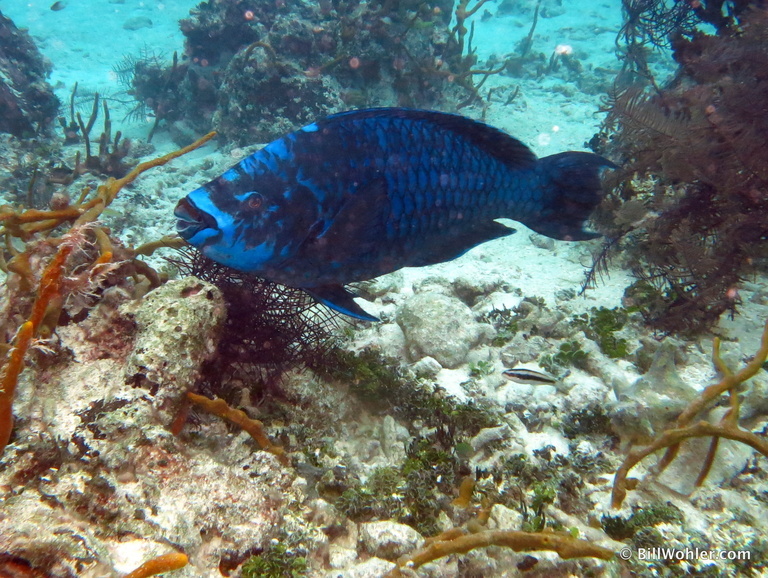 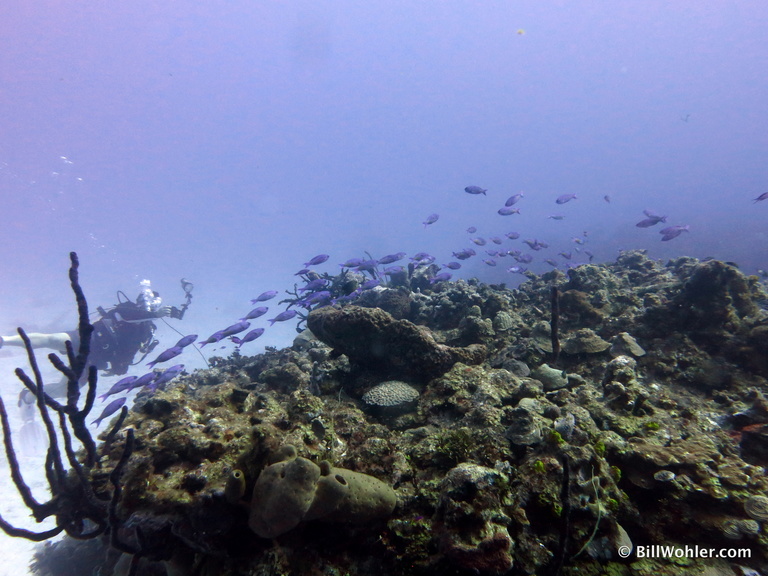 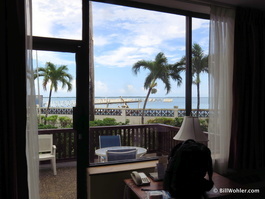 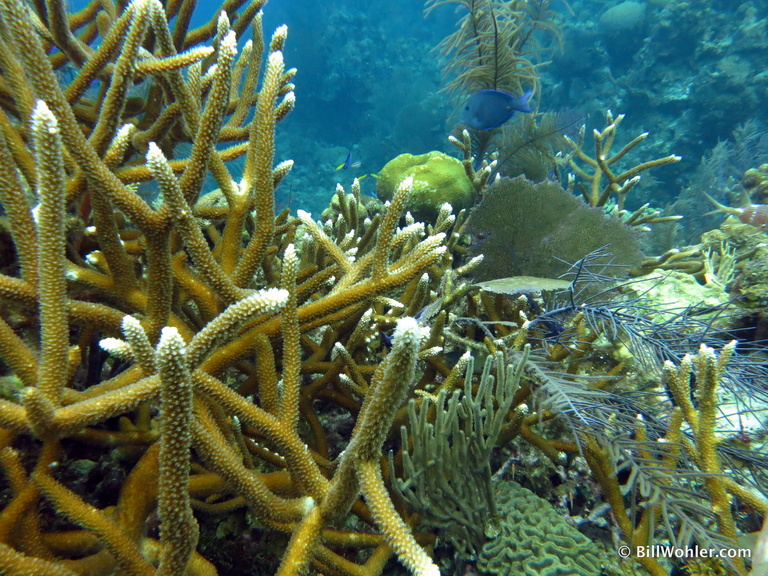 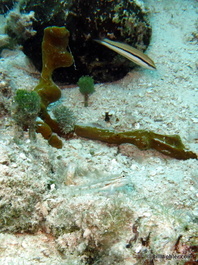 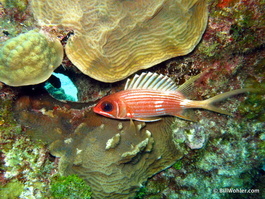 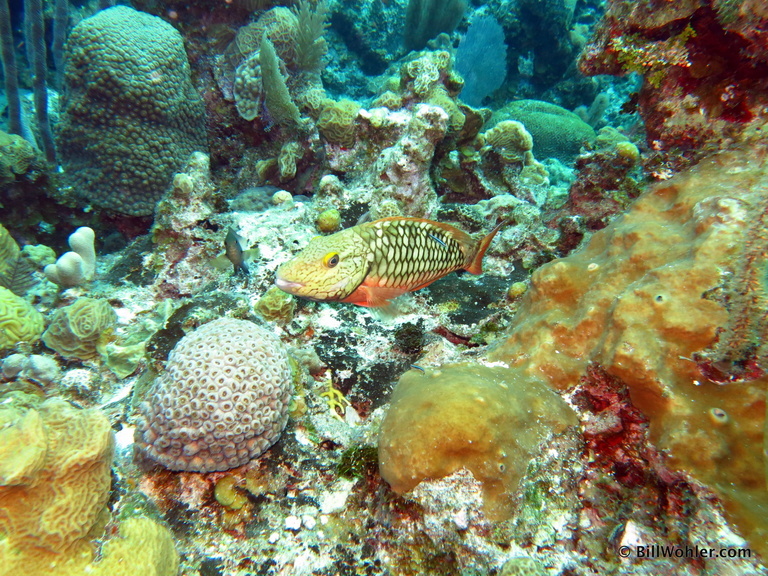 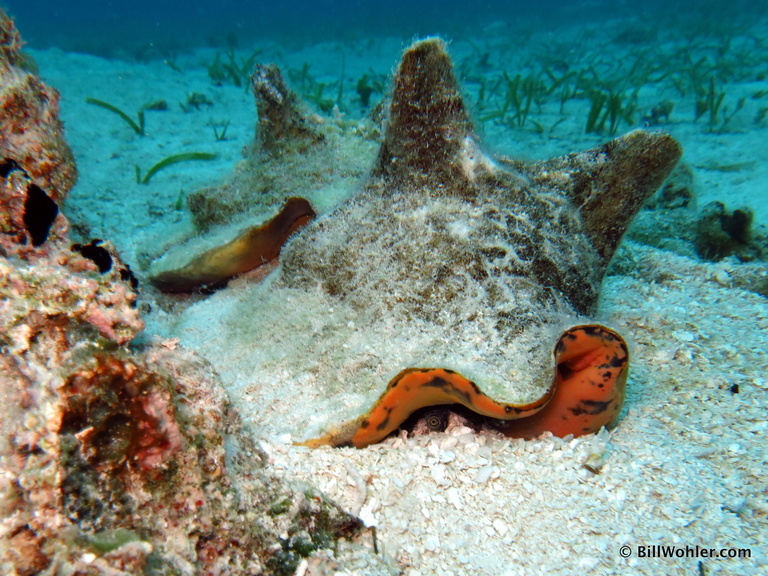 The reefs are quite healthy here, although some damage from the hurricane was seen. Here's the route we took during the week (also in GPX or KML formats). 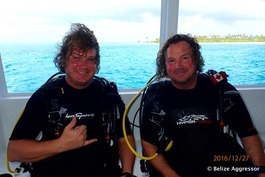 After enjoying the captions below, you can view larger versions of the photos by clicking on them. 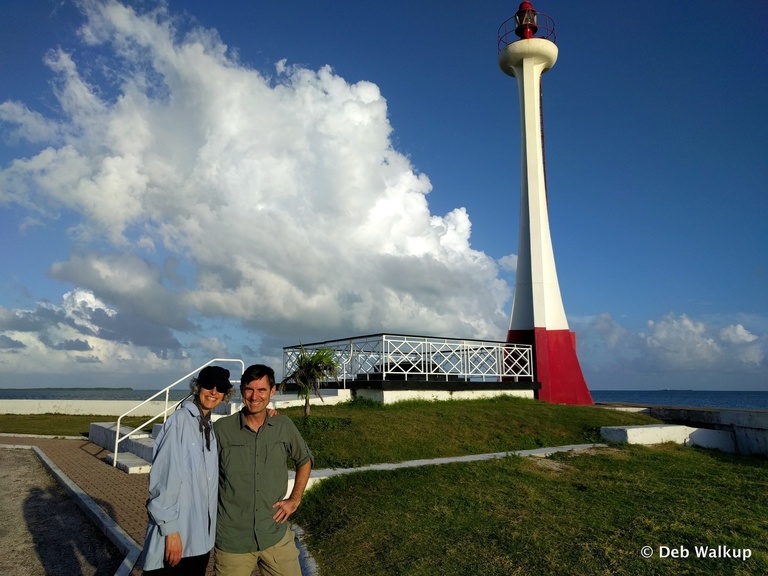 You can see even larger versions of the photos by viewing them in Google Photos . 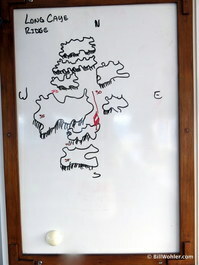 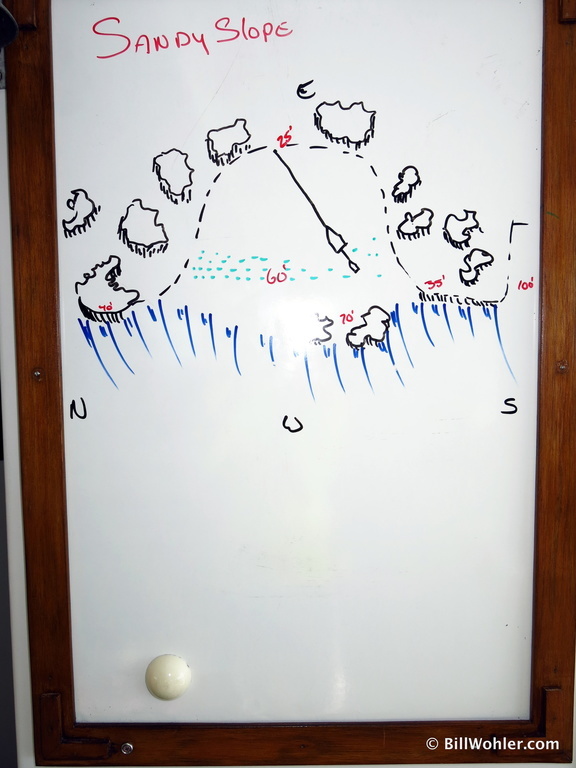 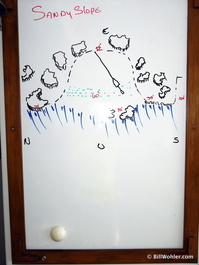 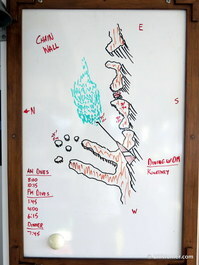 Use the menu to start a slideshow, or select a photo and press the Info button to view captions and maps. 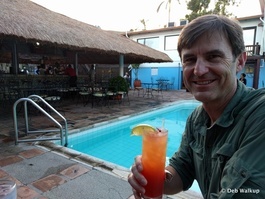 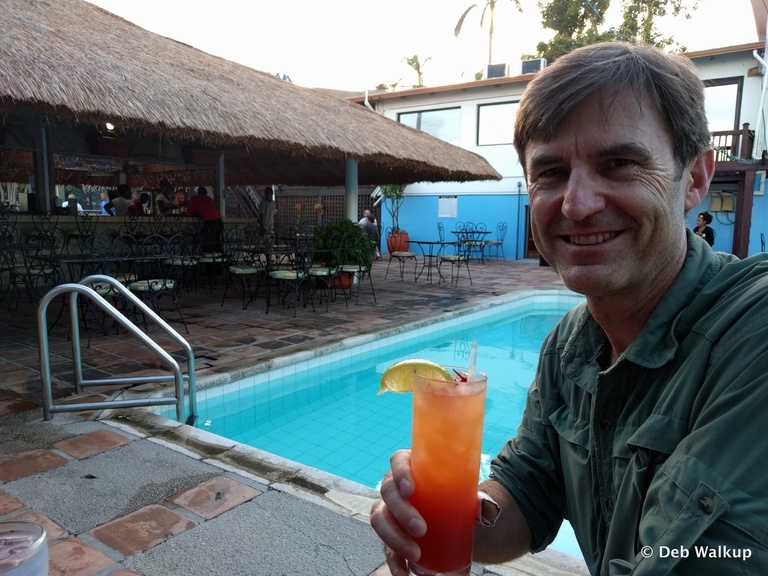 Enjoying a maitai at the poolside bar--no mosquitoes!